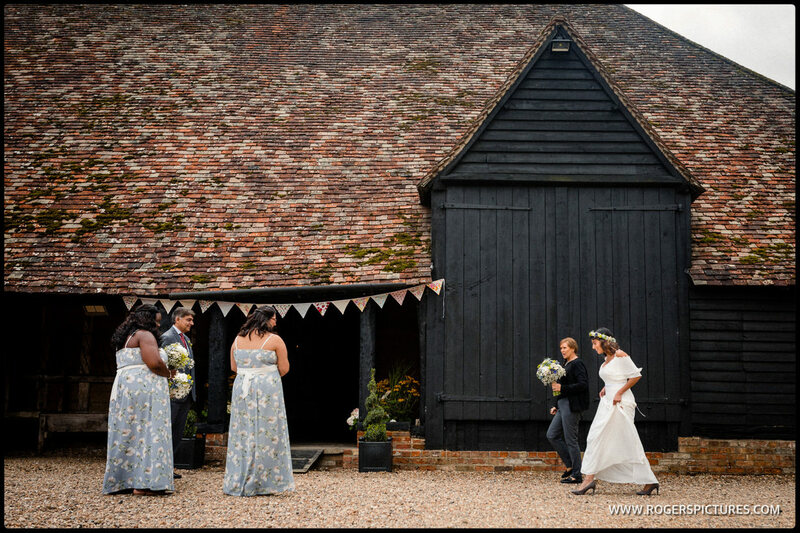 The Priory, Little Wymondley is a barn wedding venue just a stones throw from my home in Hitchin, Hertfordshire. 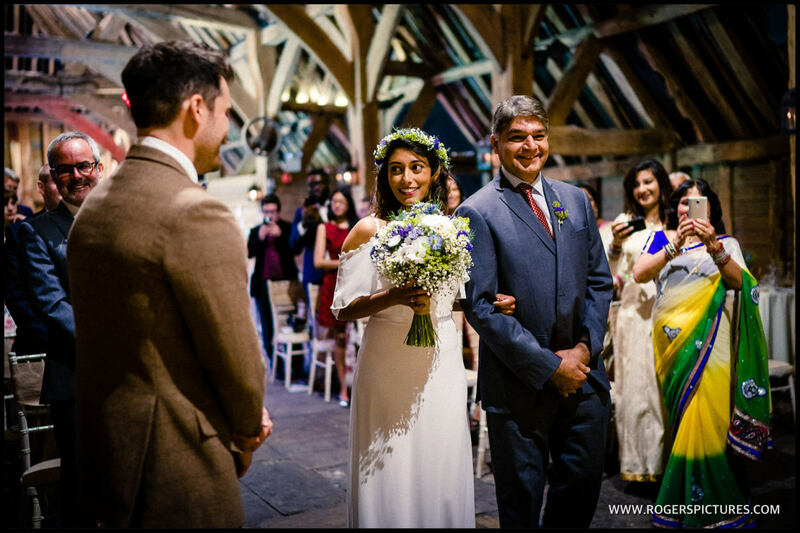 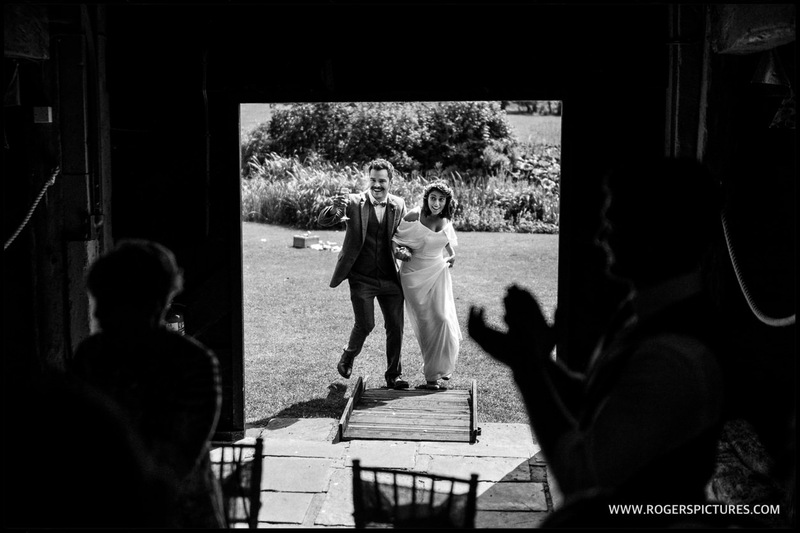 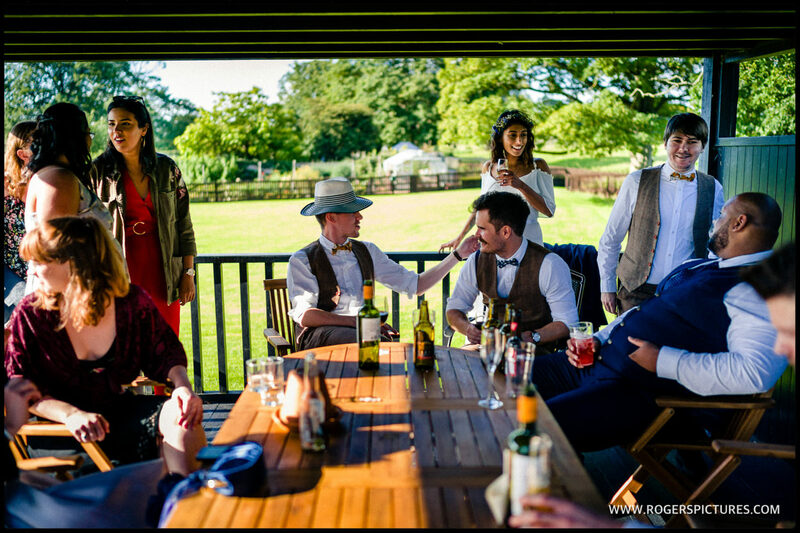 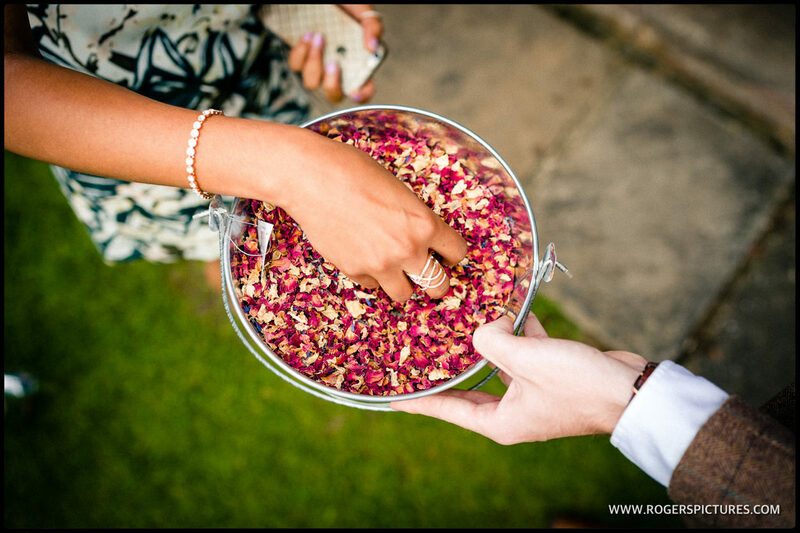 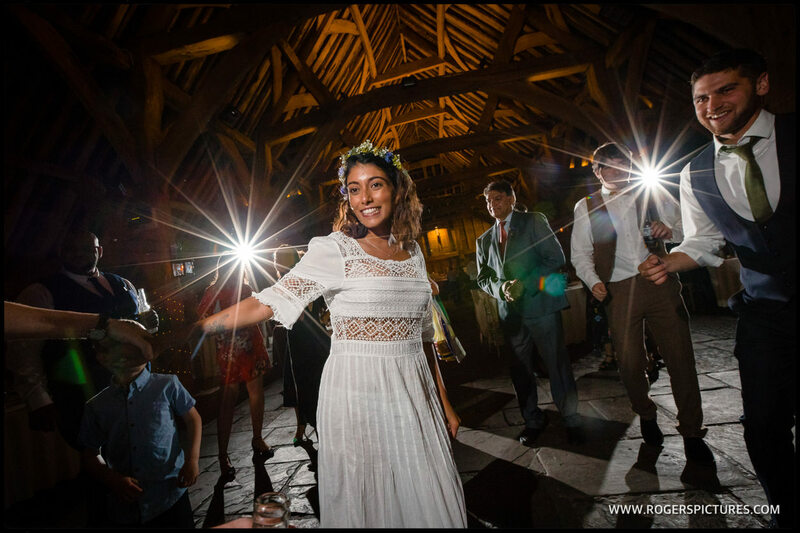 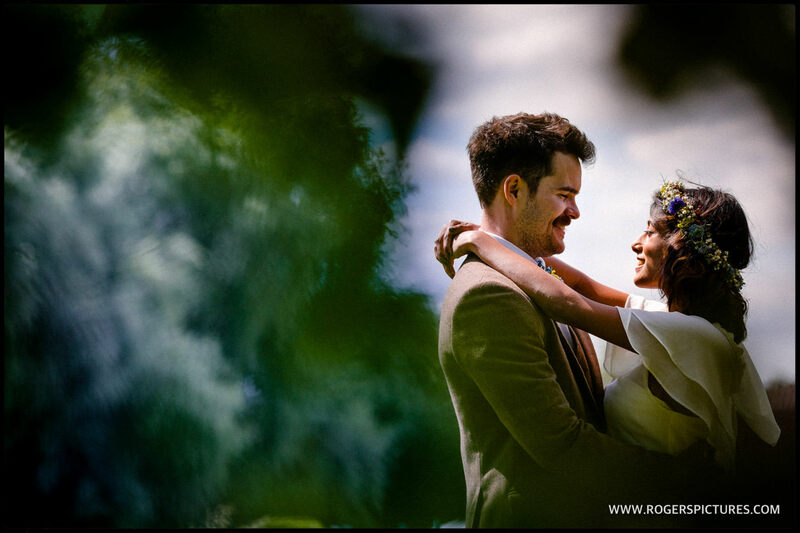 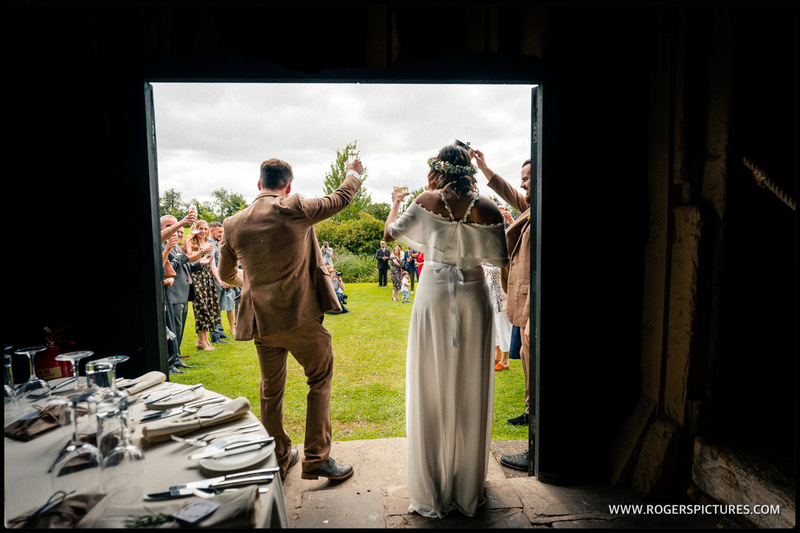 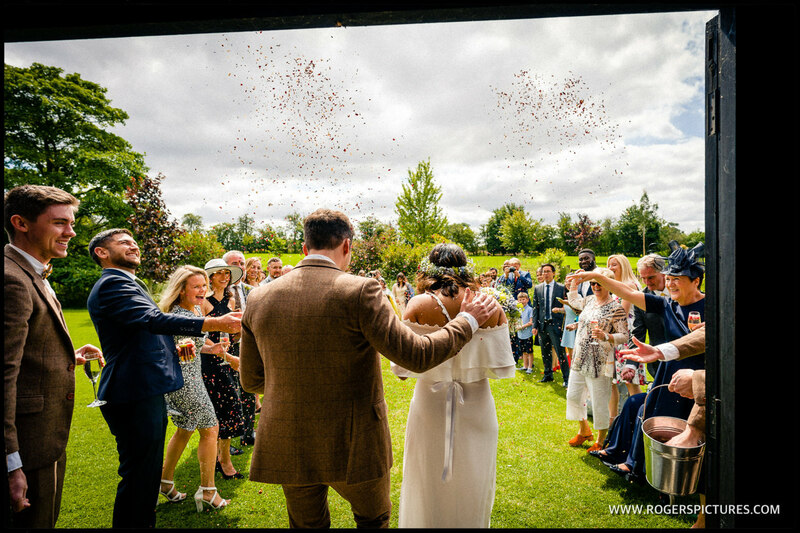 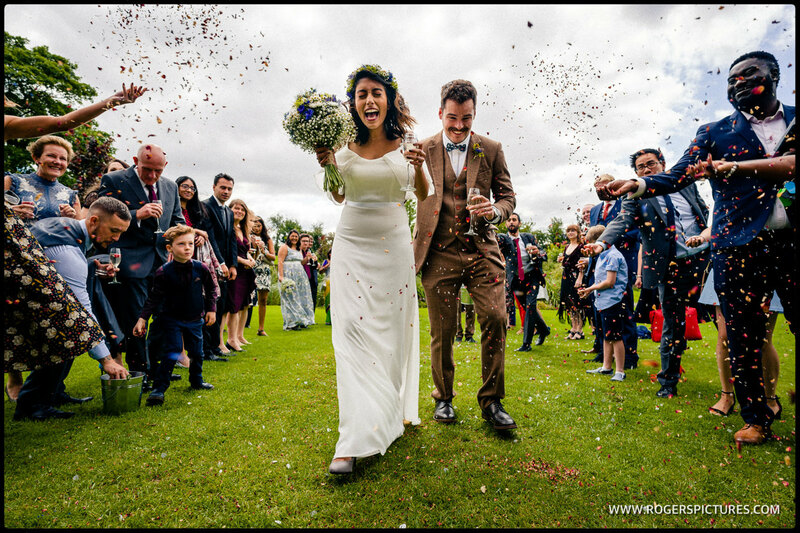 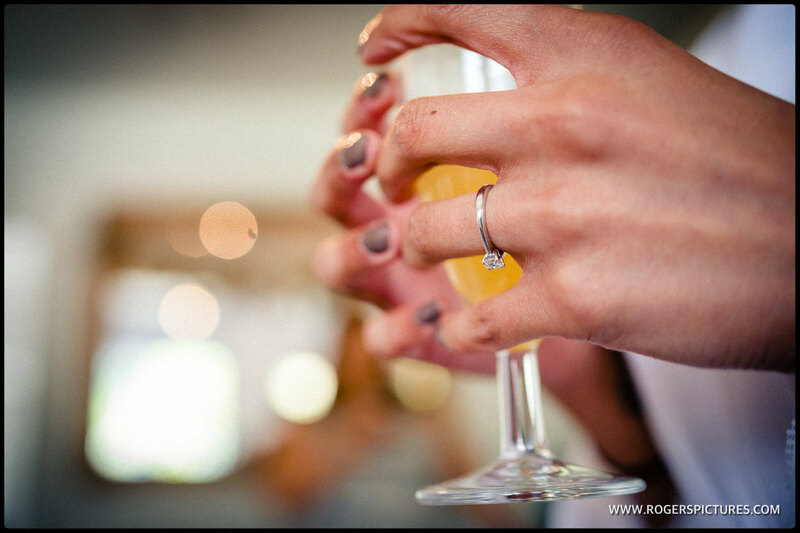 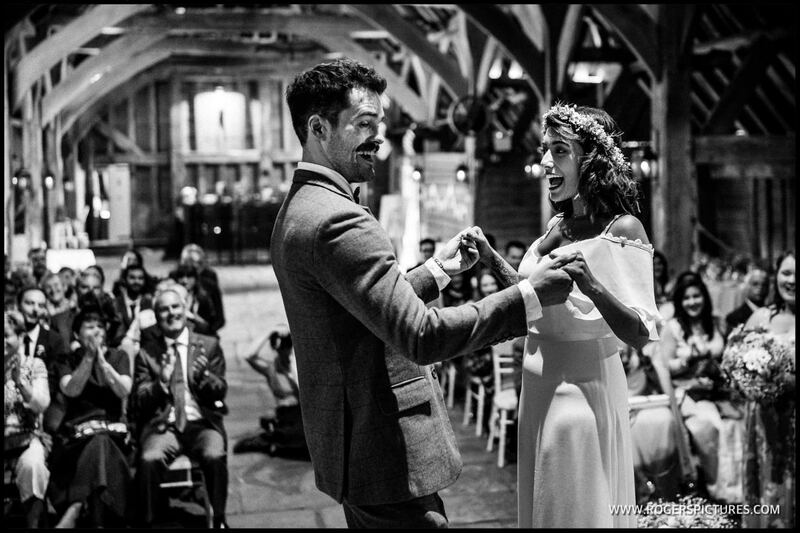 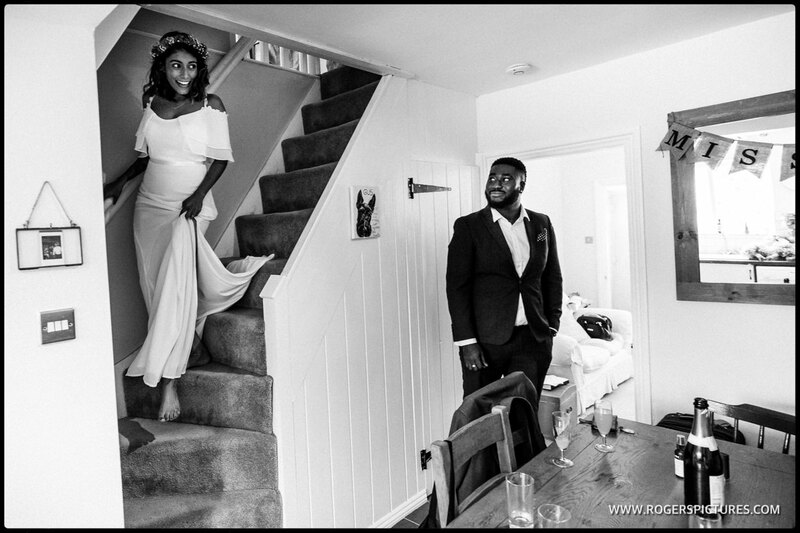 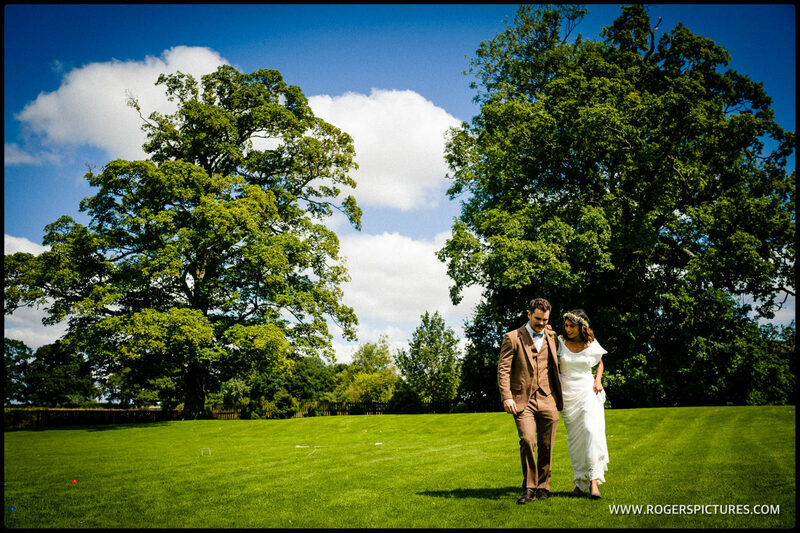 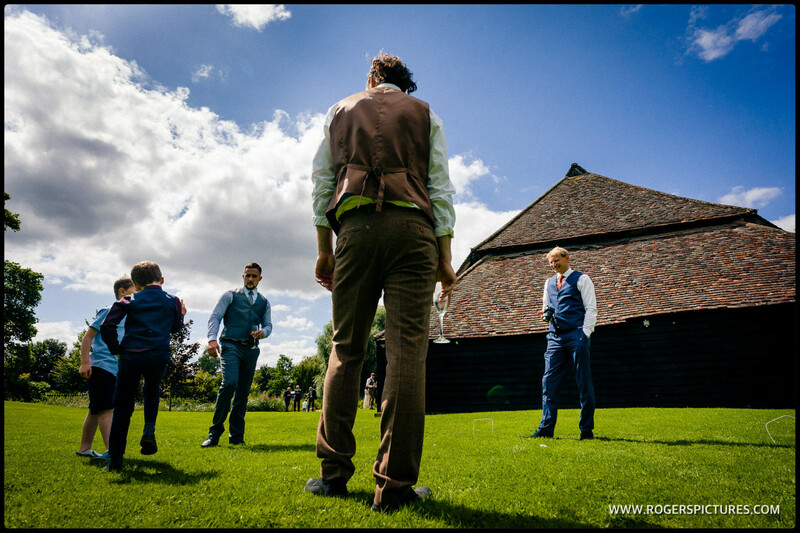 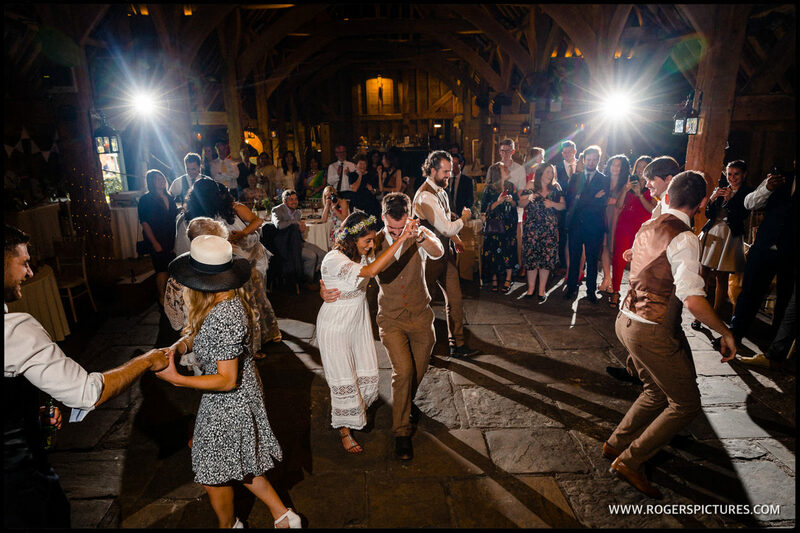 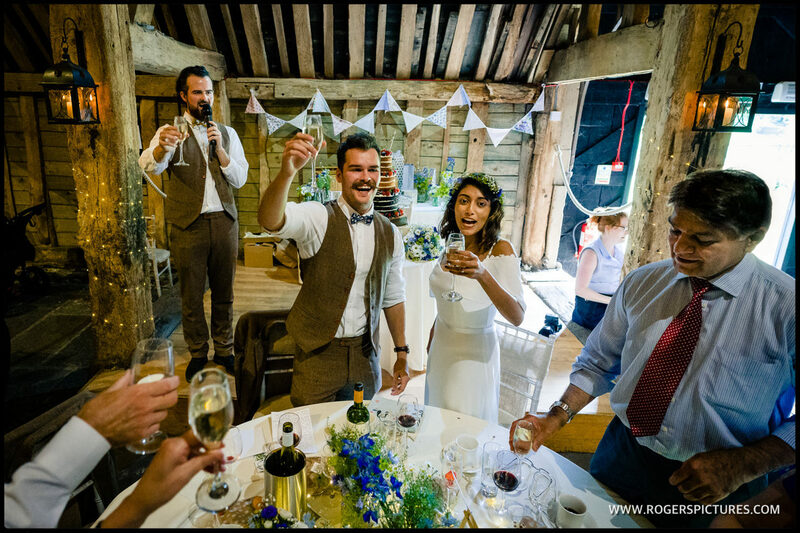 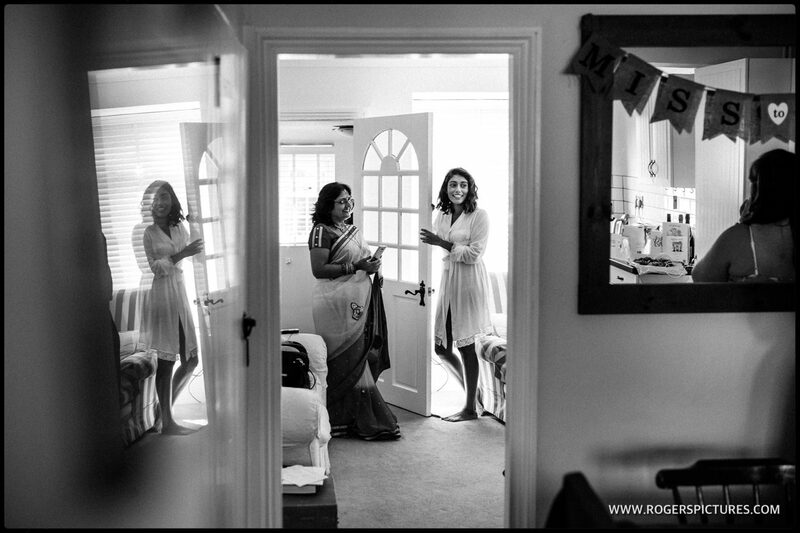 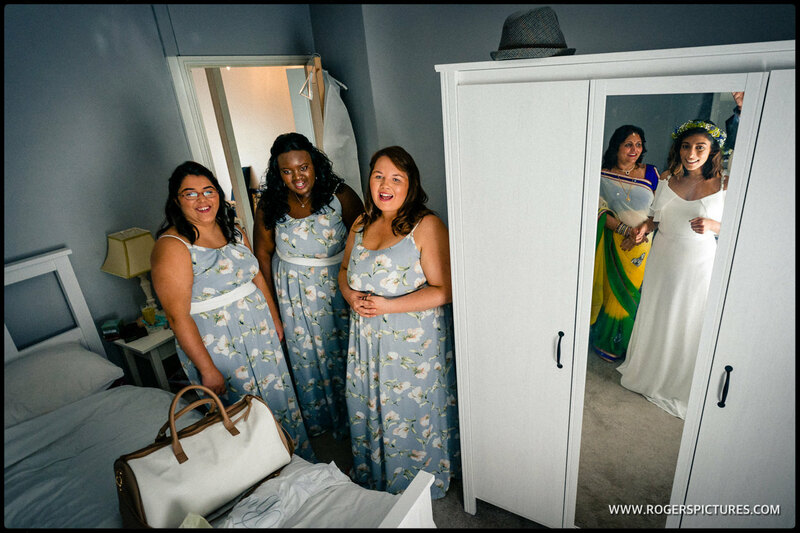 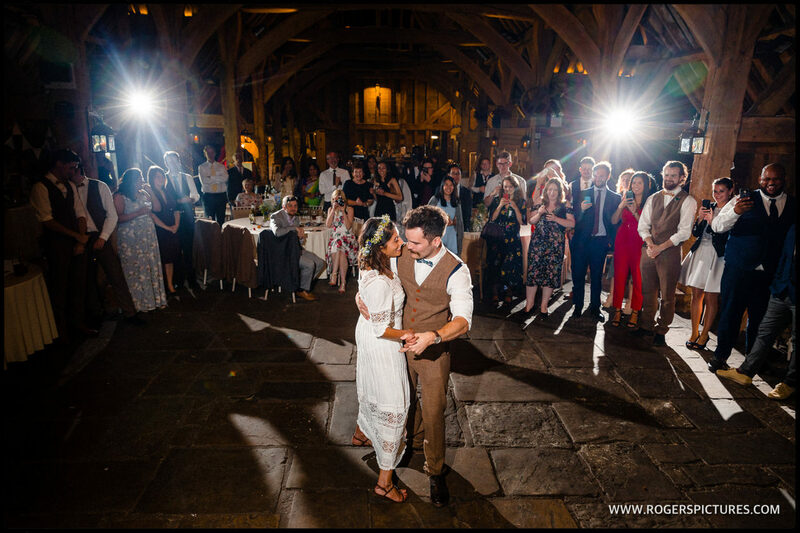 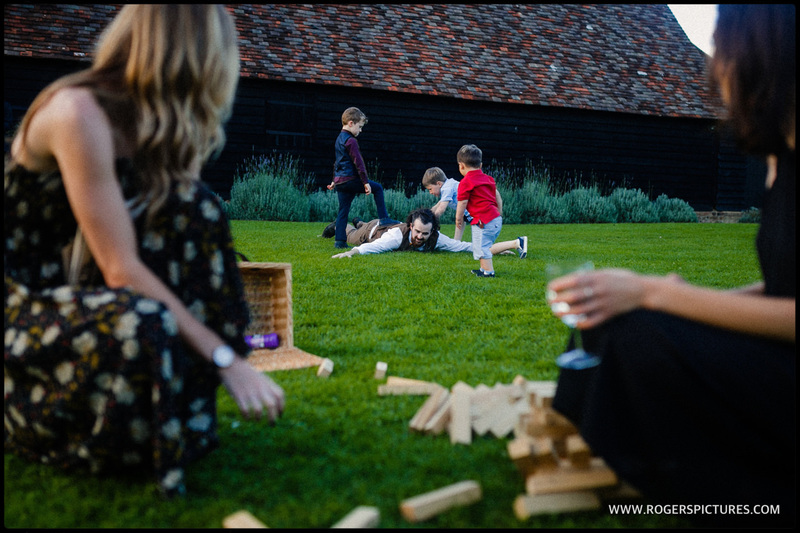 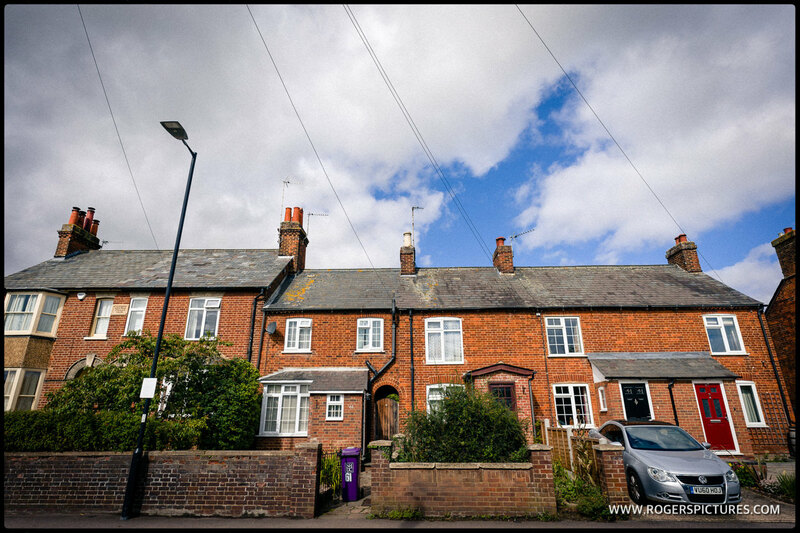 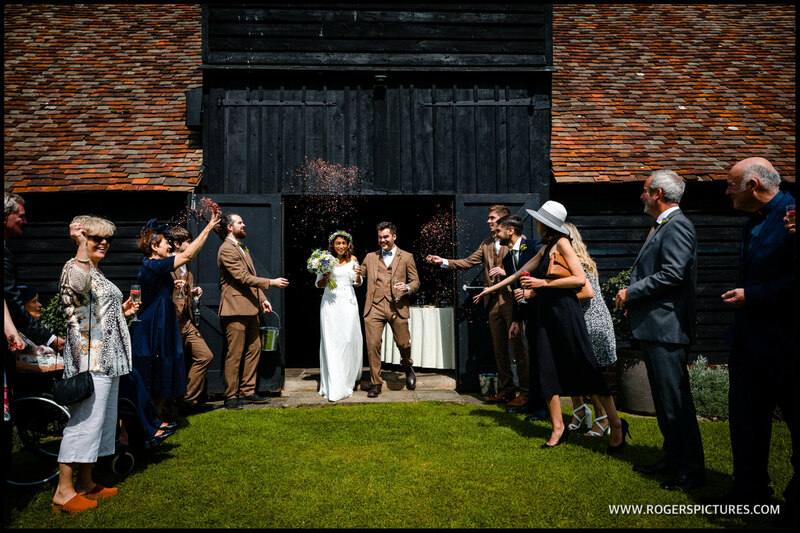 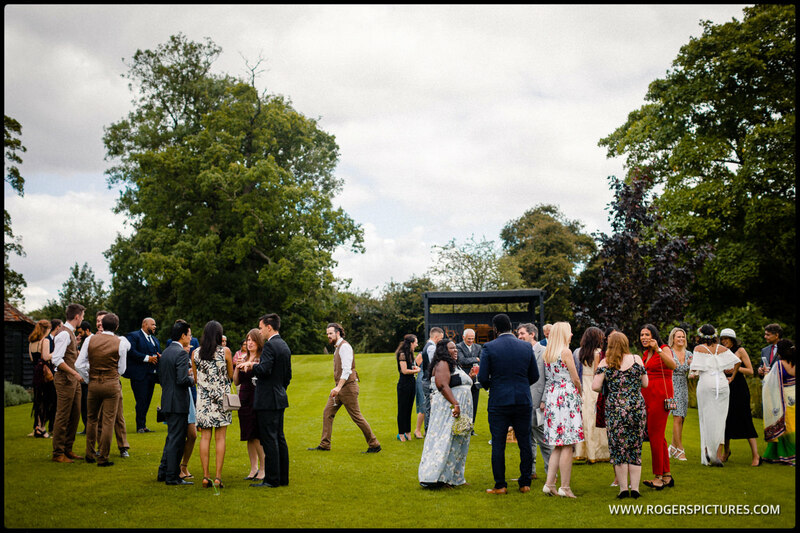 So I was delighted when Saloni and Tom got in touch about their Summer wedding – not just because it’s probably the closest wedding venue to my house, or because it would be a new venue for me to photograph at. 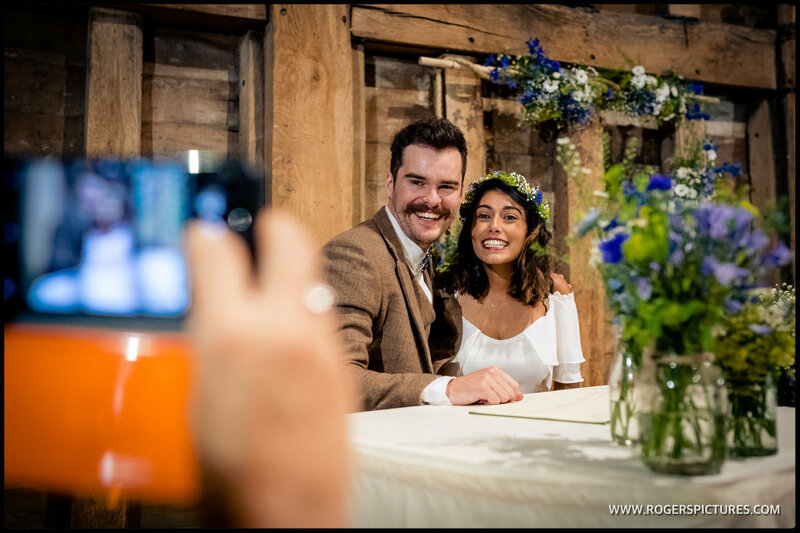 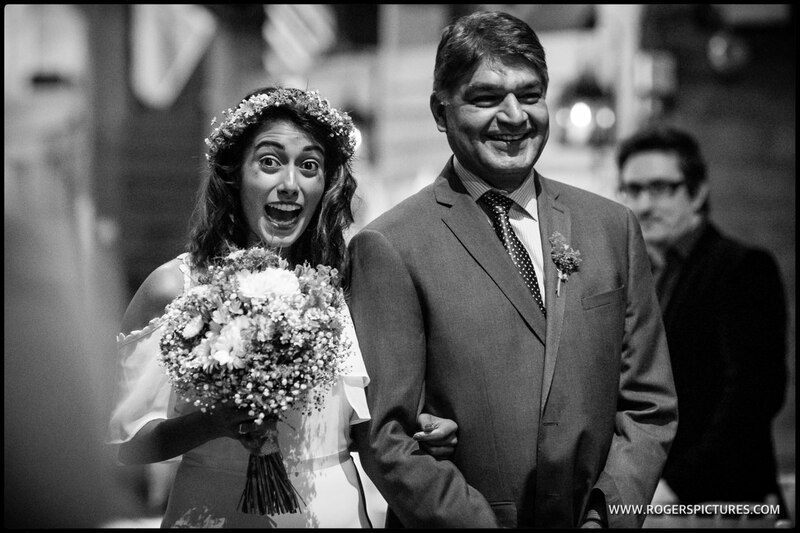 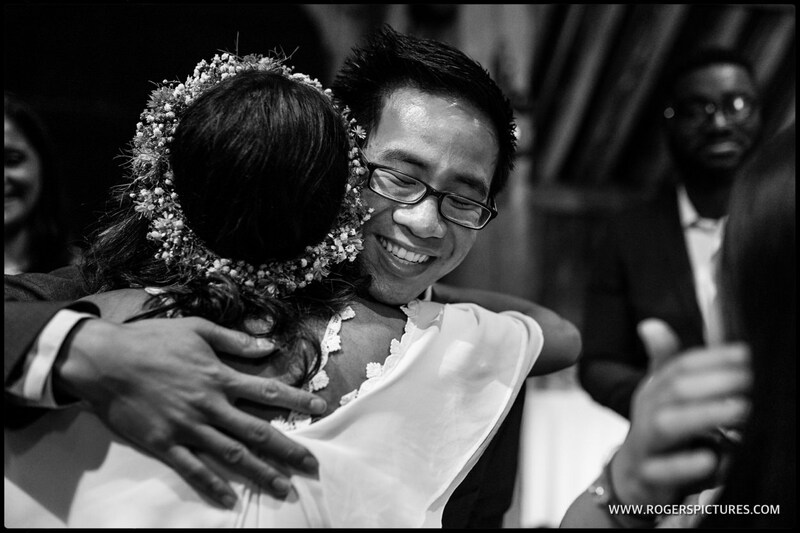 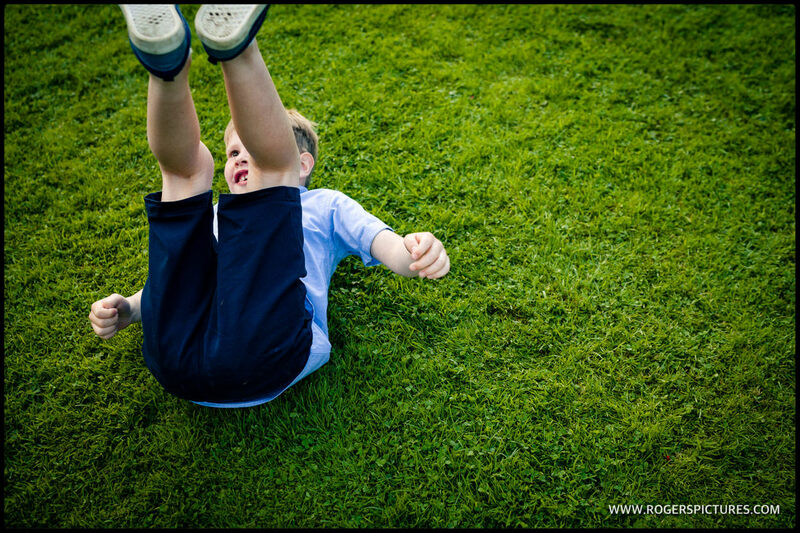 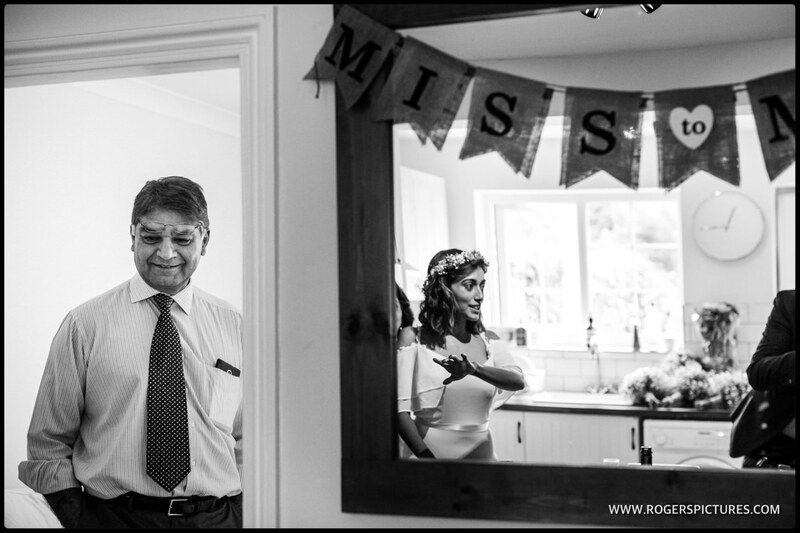 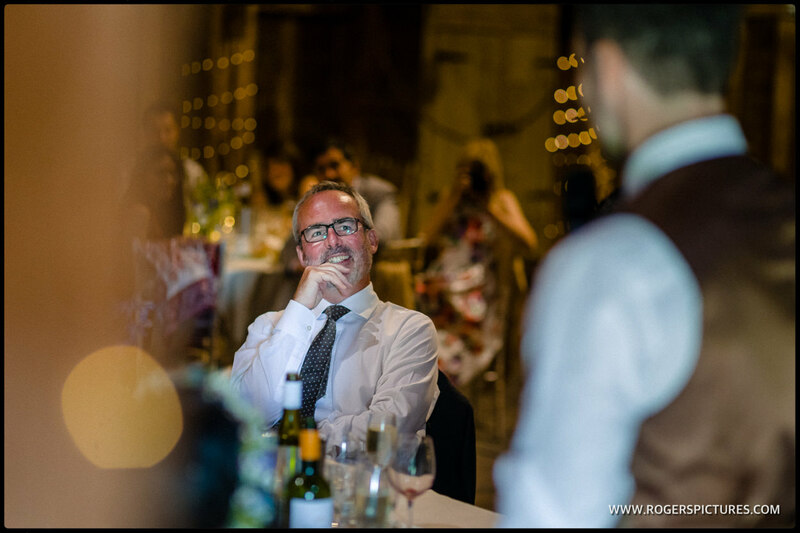 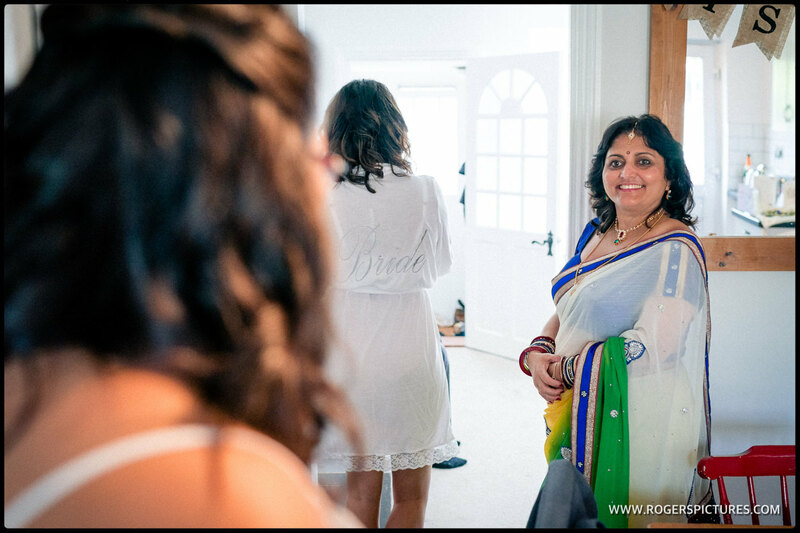 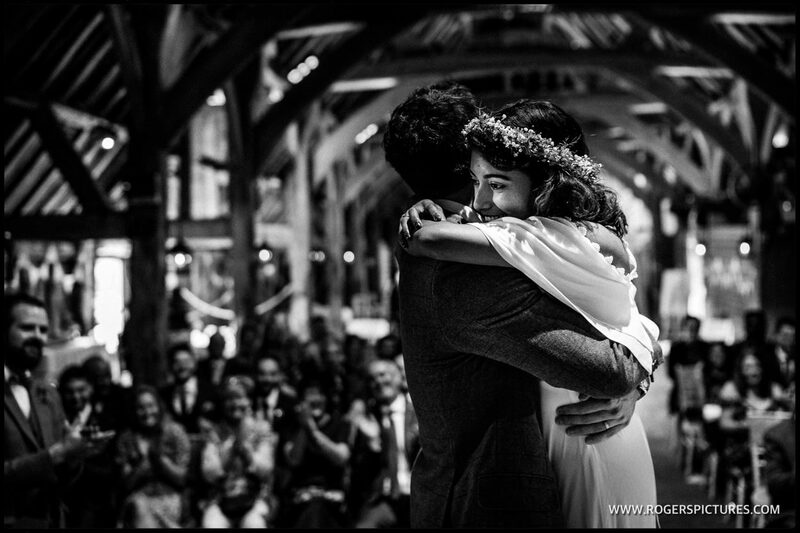 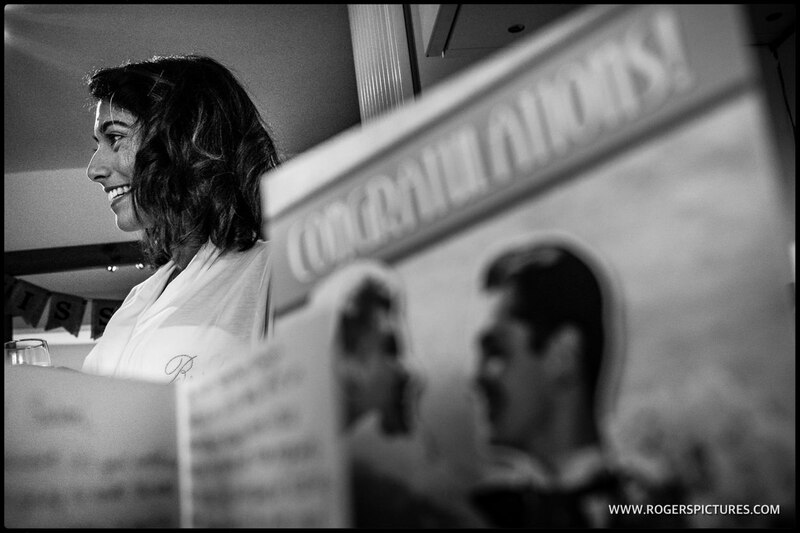 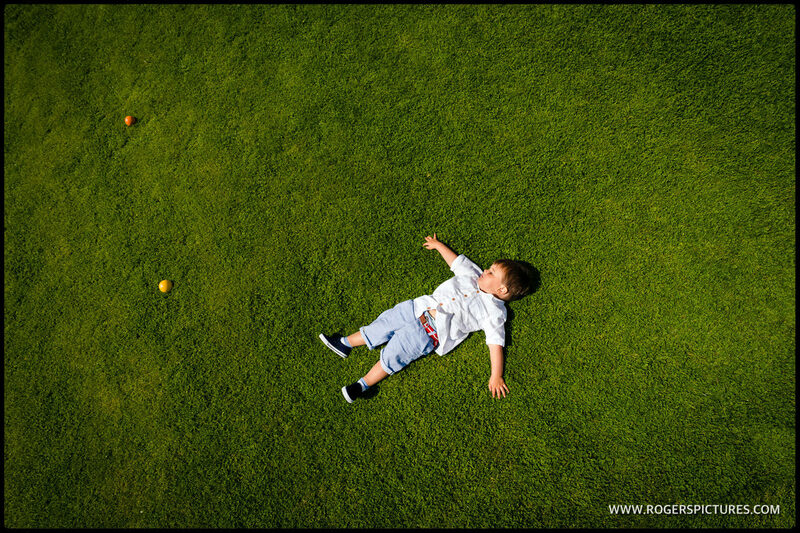 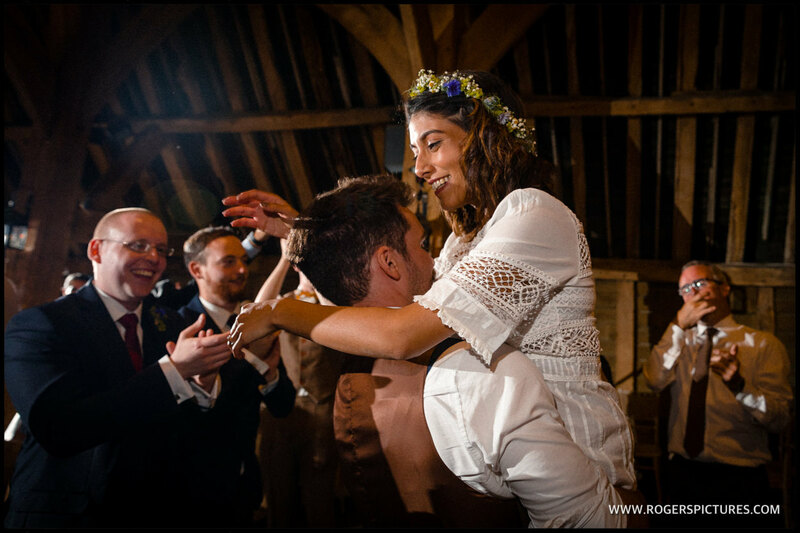 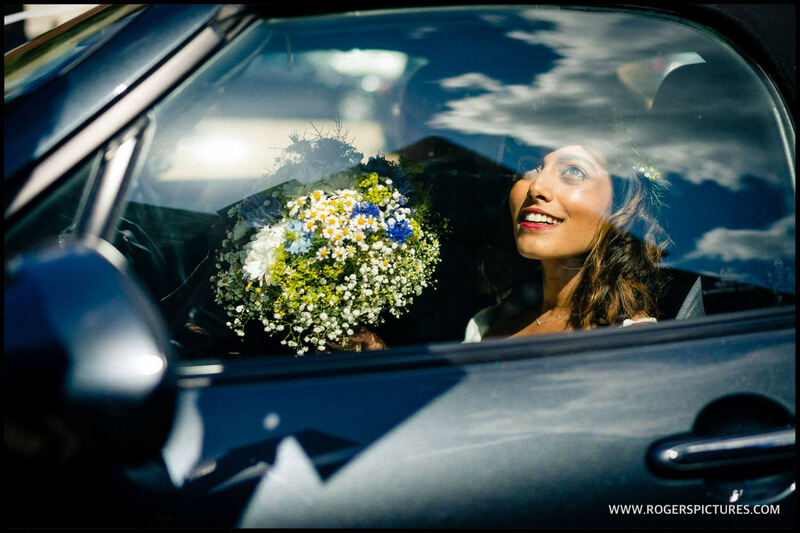 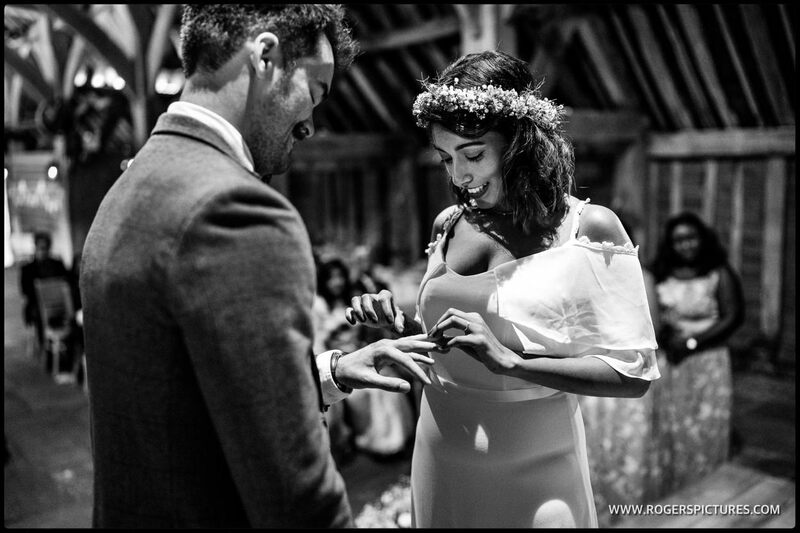 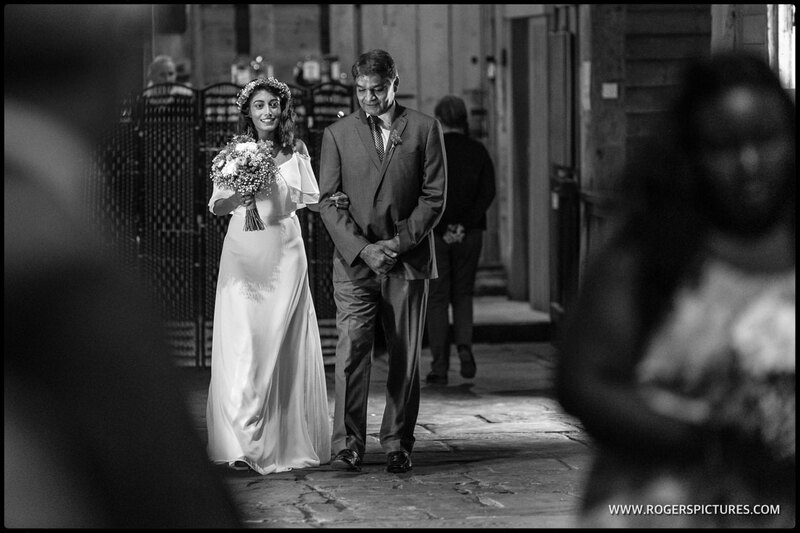 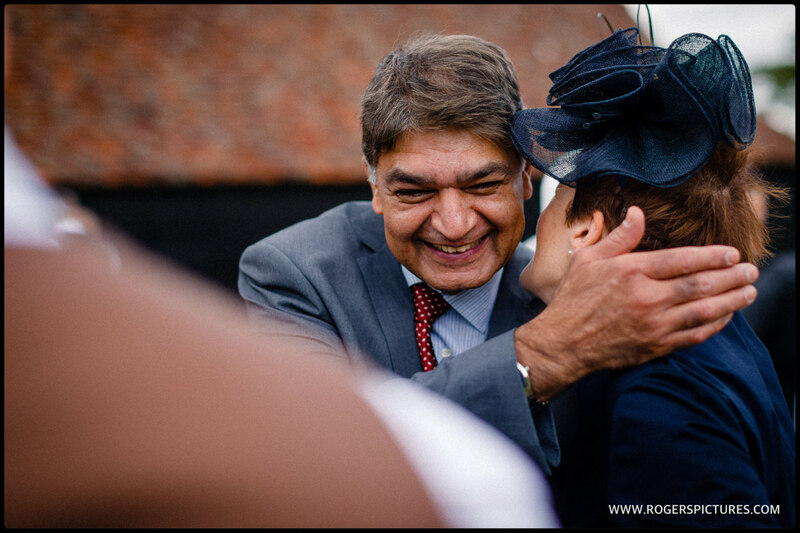 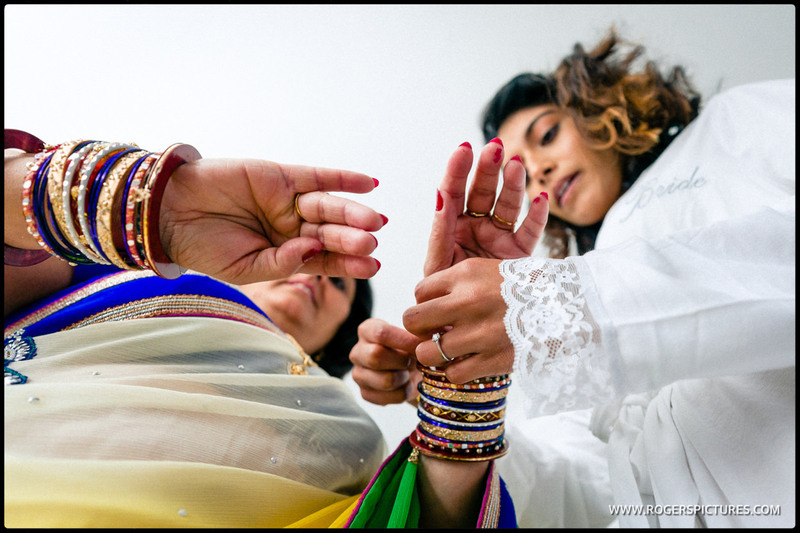 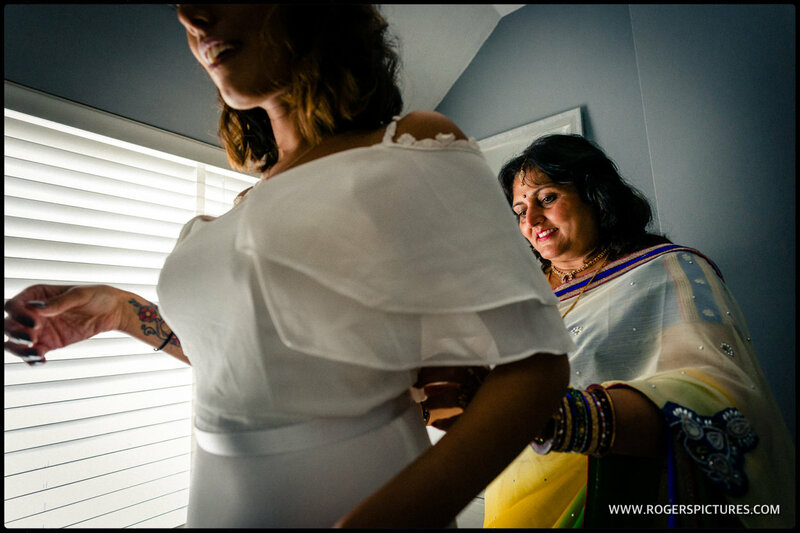 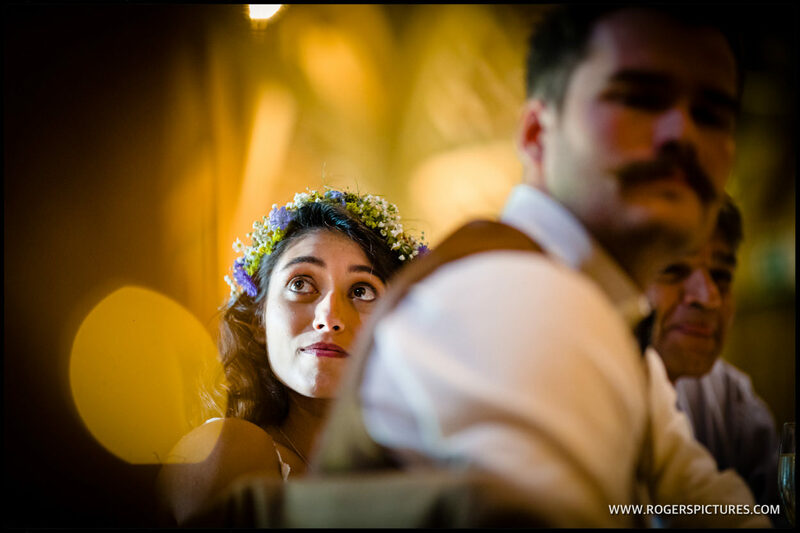 I was delighted because Saloni and Tom wanted exactly the kind of un-posed, documentary wedding photography that I specialise in. 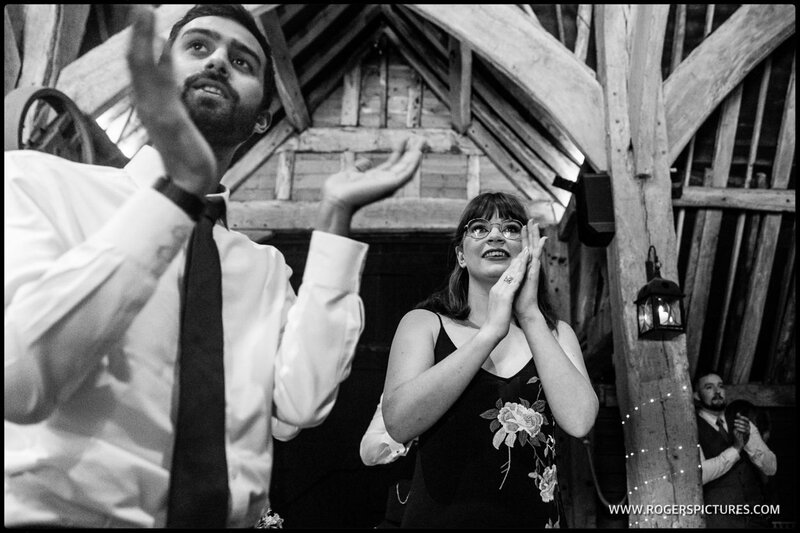 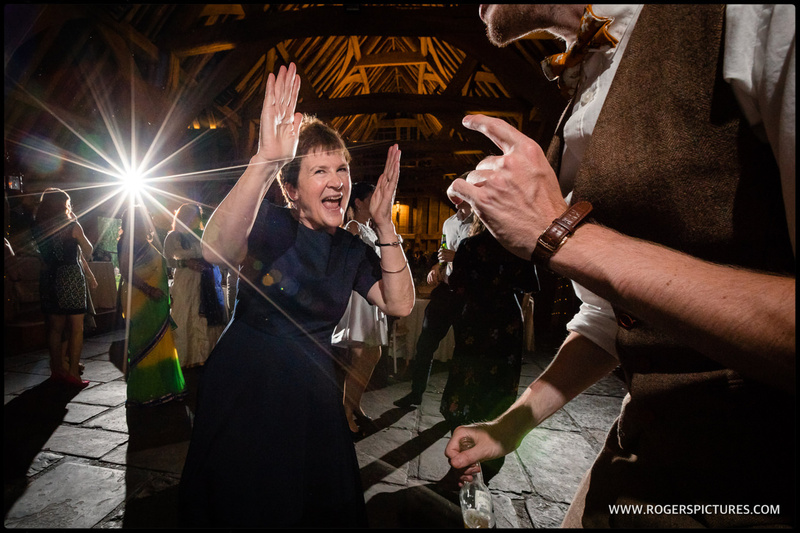 My coverage started over at Saloni and Tom’s house in nearby Ickleford, where I photographed the final preparations before everyone made the short journey over to The Priory Barn in Little Wymondley. 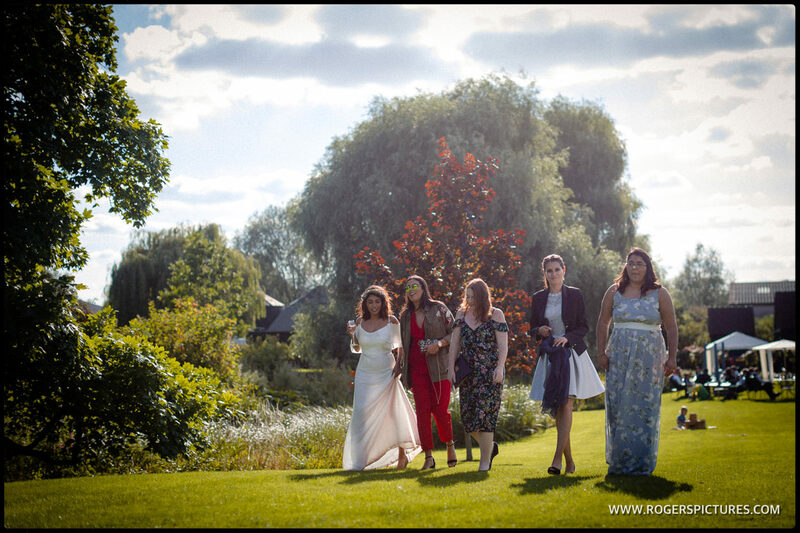 Melissa had already photographed guests arriving as well as Tom and the groomsmen before I got there. 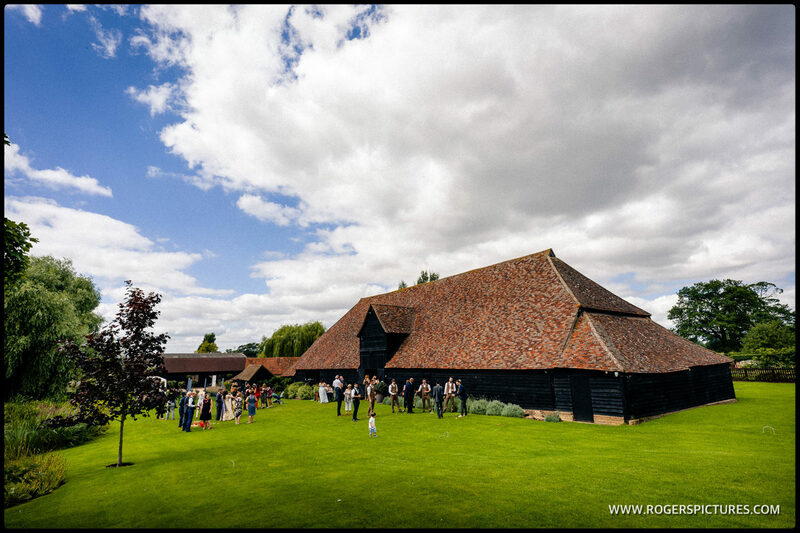 It’s a beautiful 16th century wooden barn. 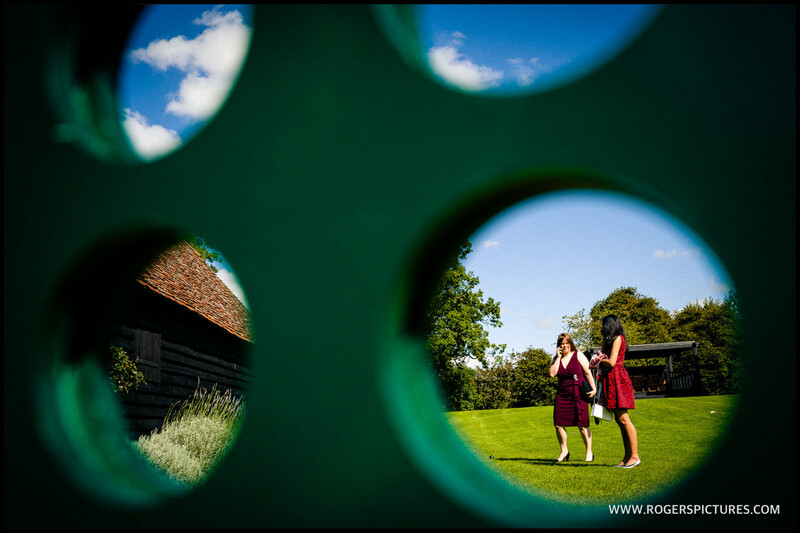 It’s an amazing building, with a very airy feel, with some beautifully kept grounds surrounding the barn. 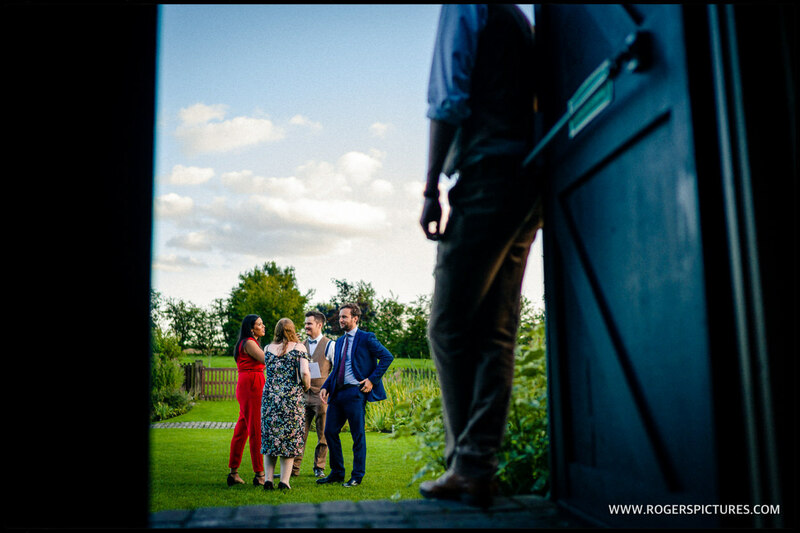 On this sunny August day, the light outside was great, and made it a great venue for the kind of observational wedding photography that we love to practice. 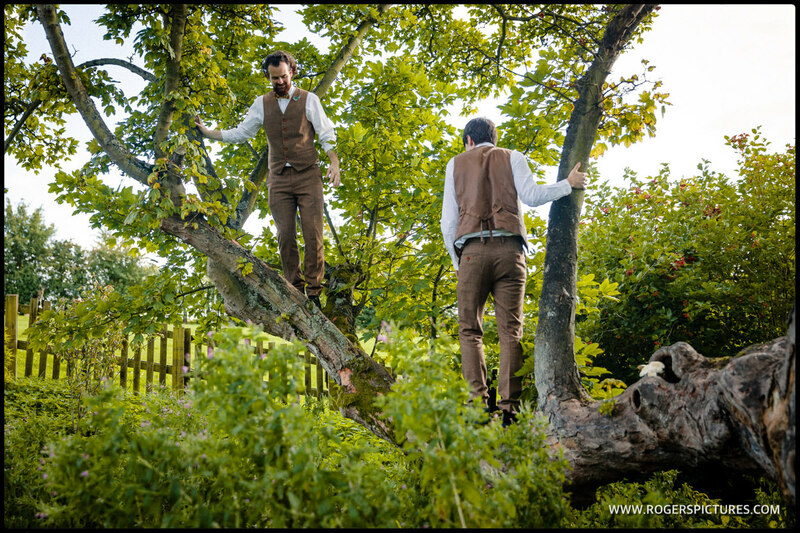 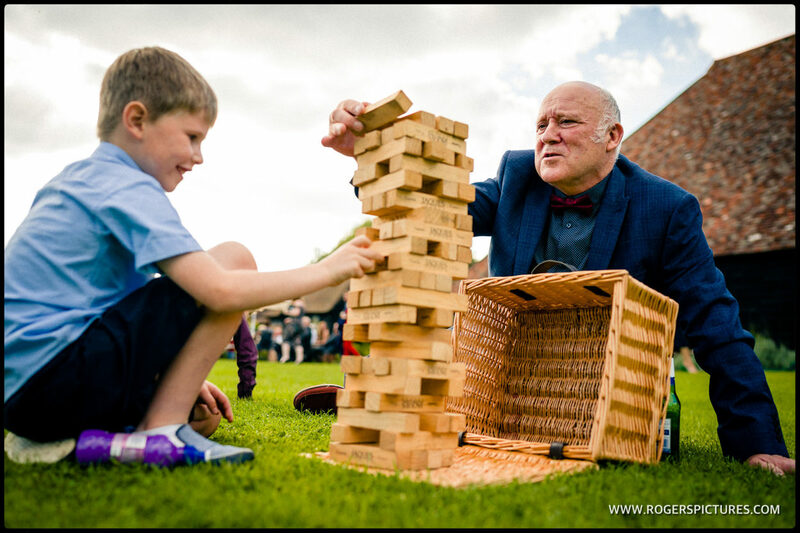 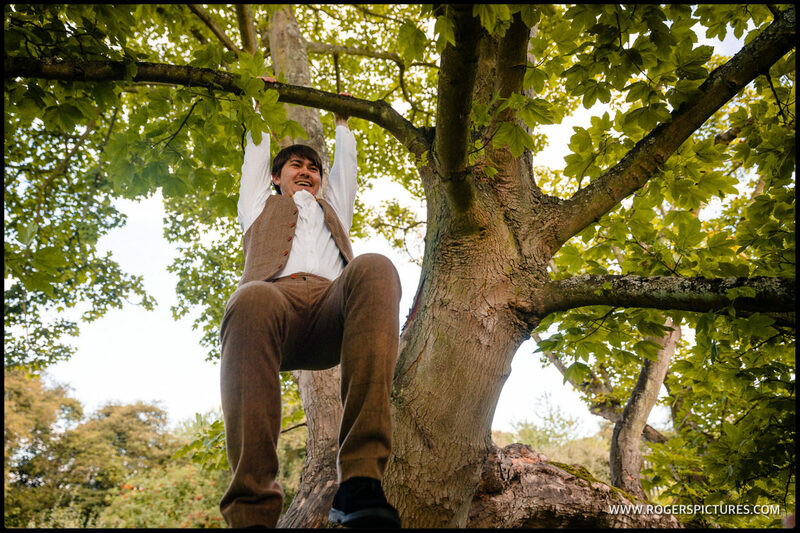 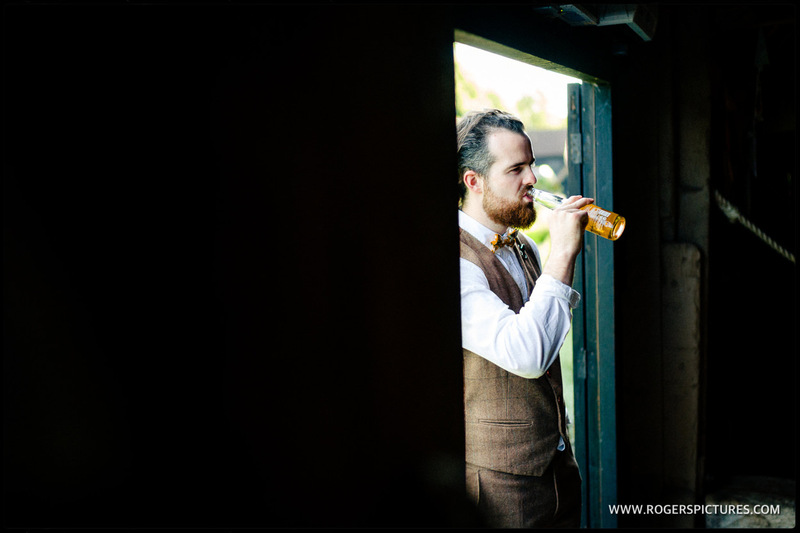 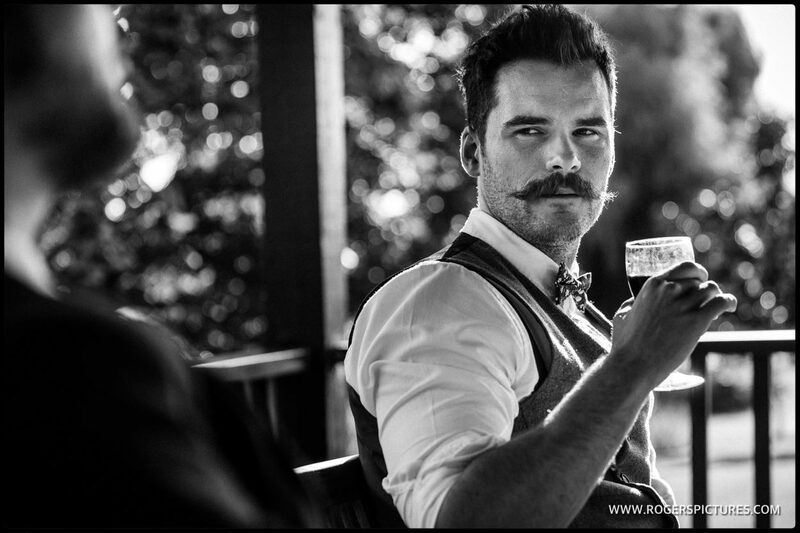 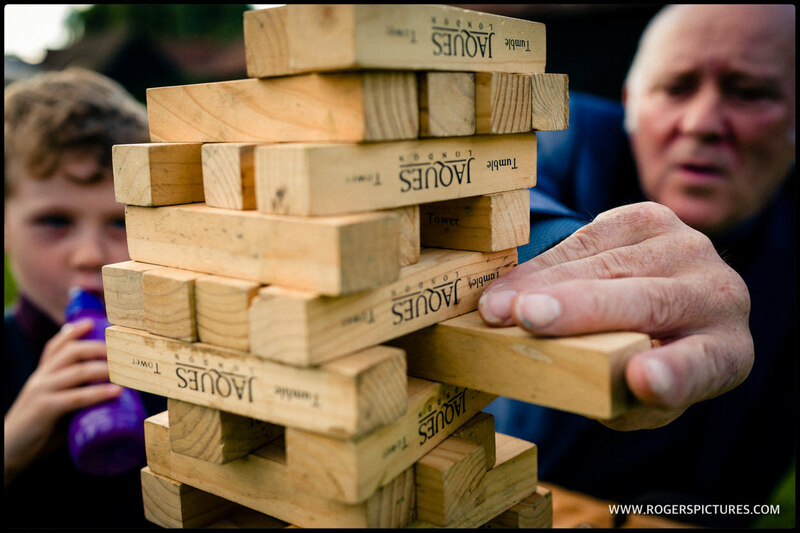 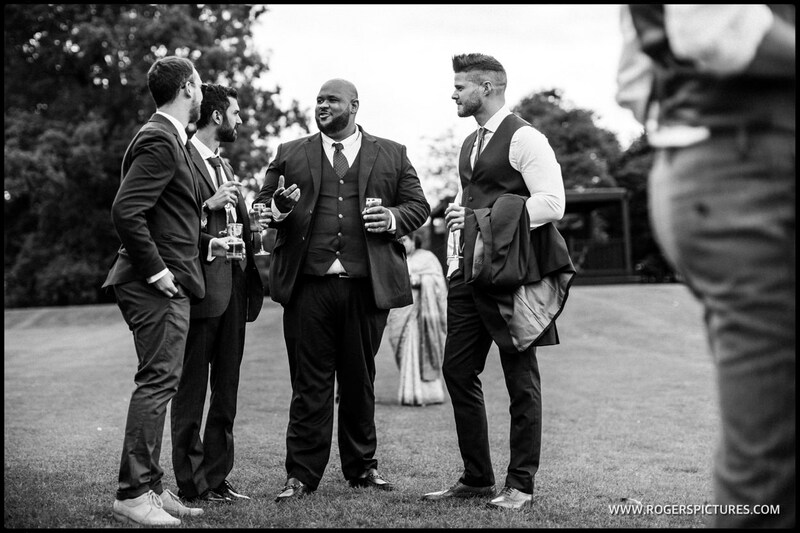 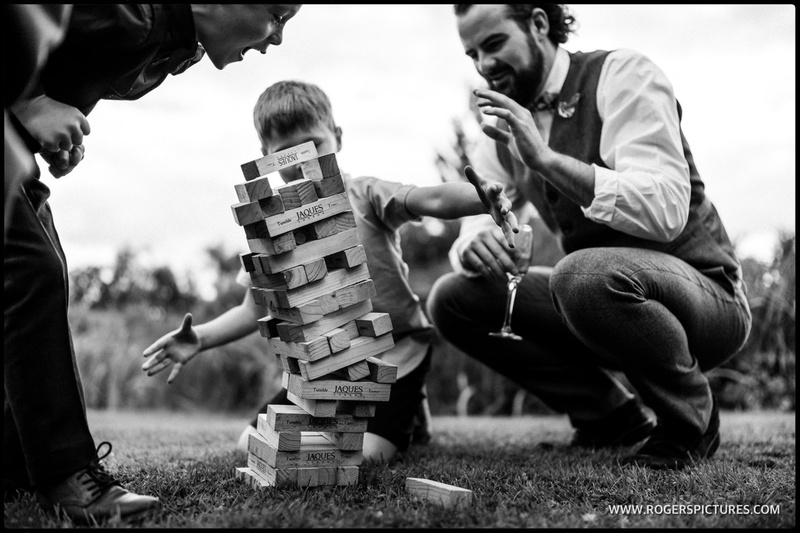 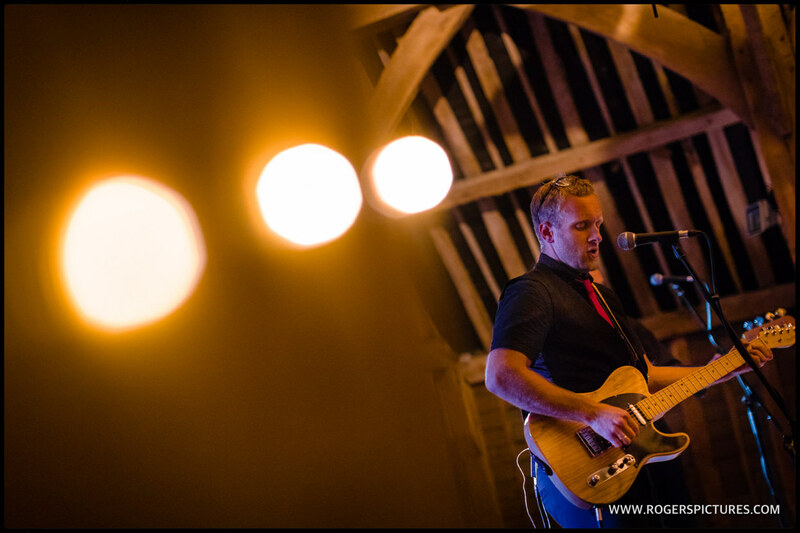 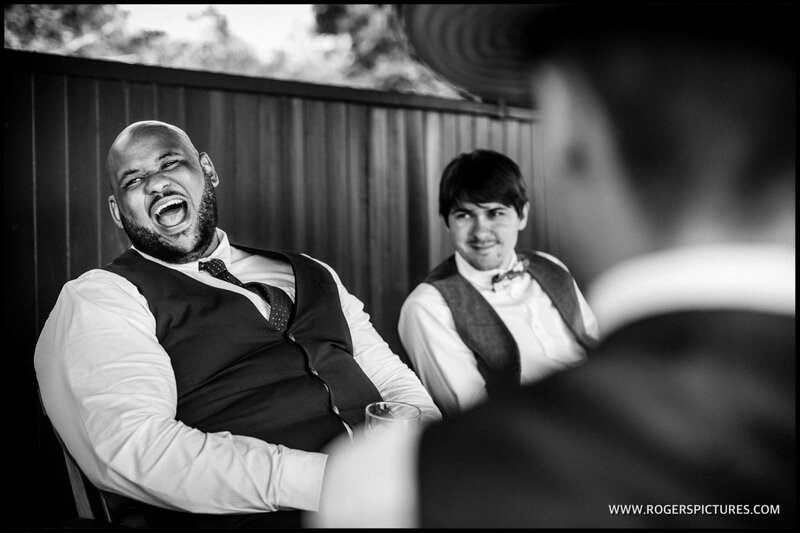 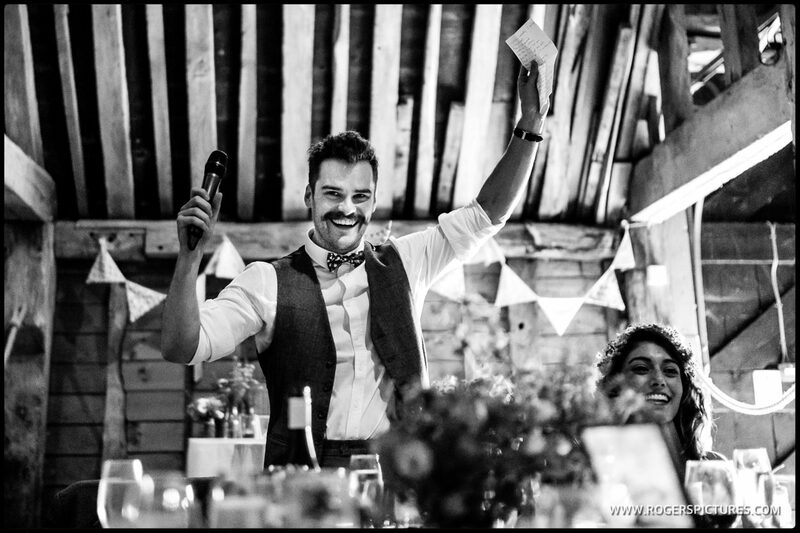 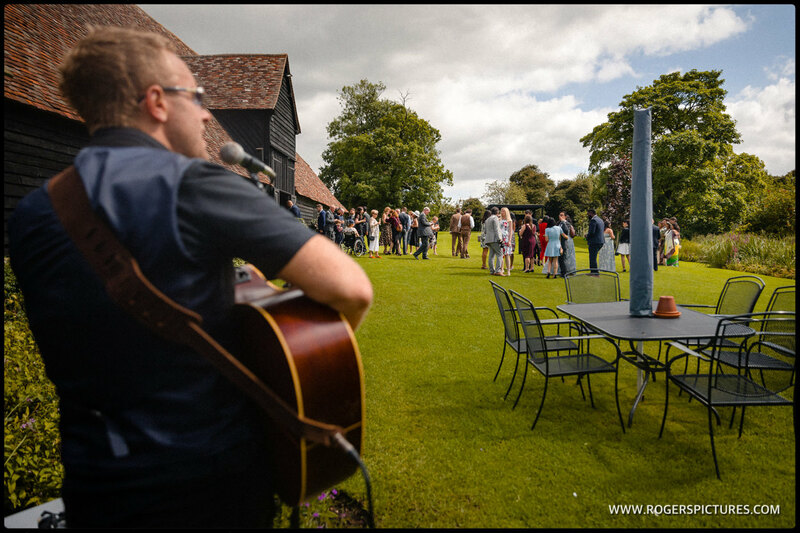 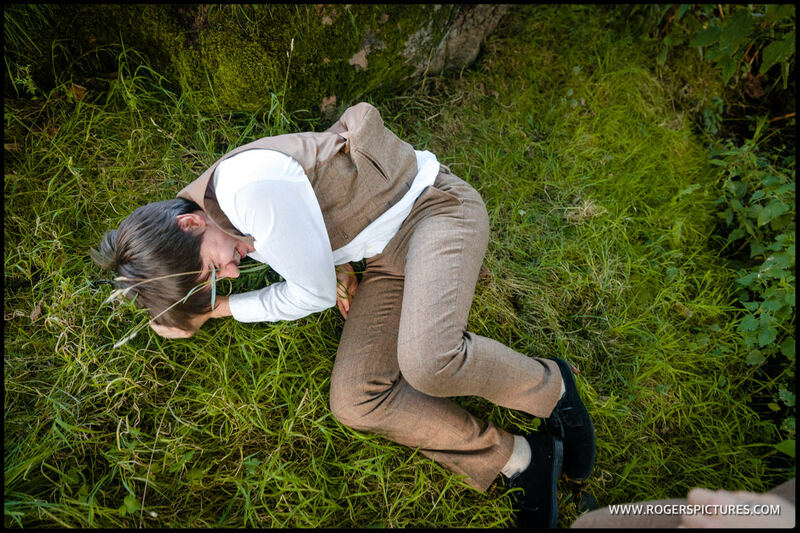 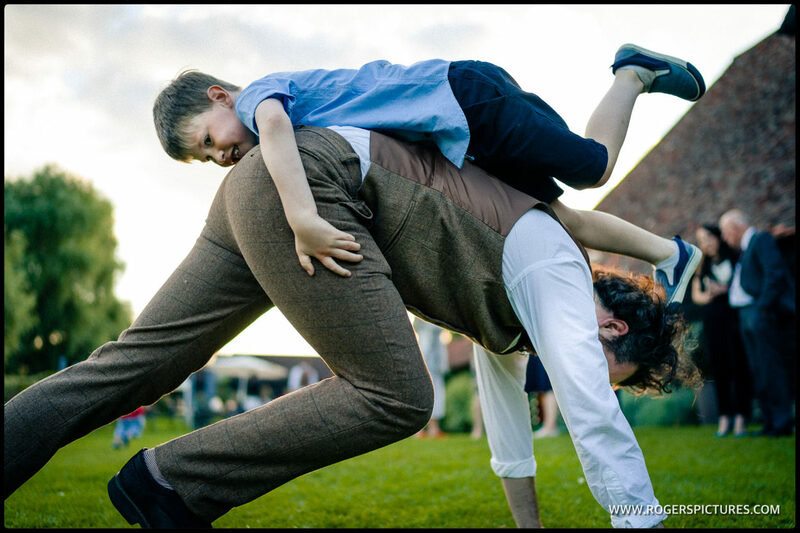 After the ceremony, the guests made the most of the gardens, with drinks, Jenga and even a spot of tree climbing to be seen, while the superb Sam Lewis kept us entertained with an acoustic set on his guitar. 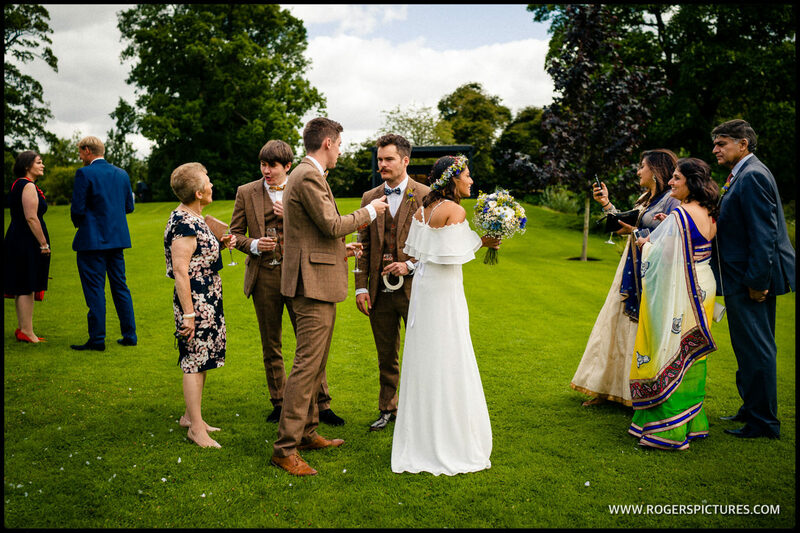 After dinner and the speeches, the evening guests arrived in time to see Saloni and Tom’s first dance, before the evening party started and our coverage ended. 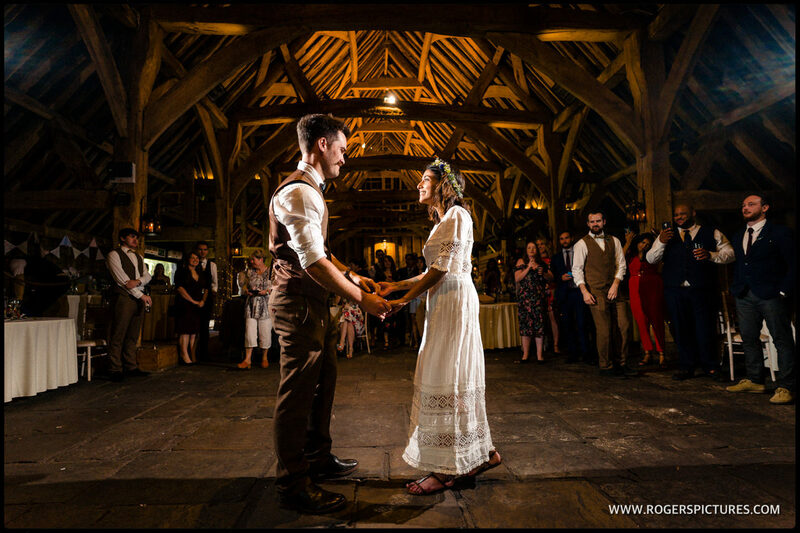 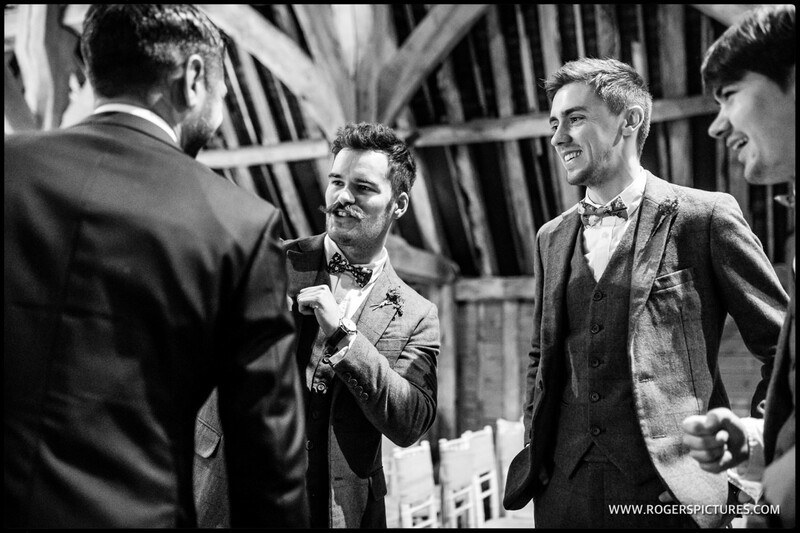 If you’re interested in this Priory, Little Wymondley wedding photography and are planning a wedding, please get in touch to get some more information about availability and prices. 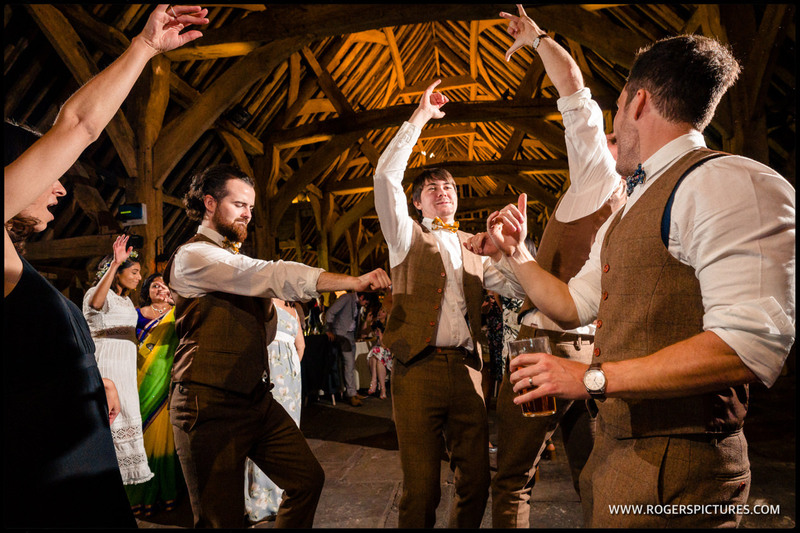 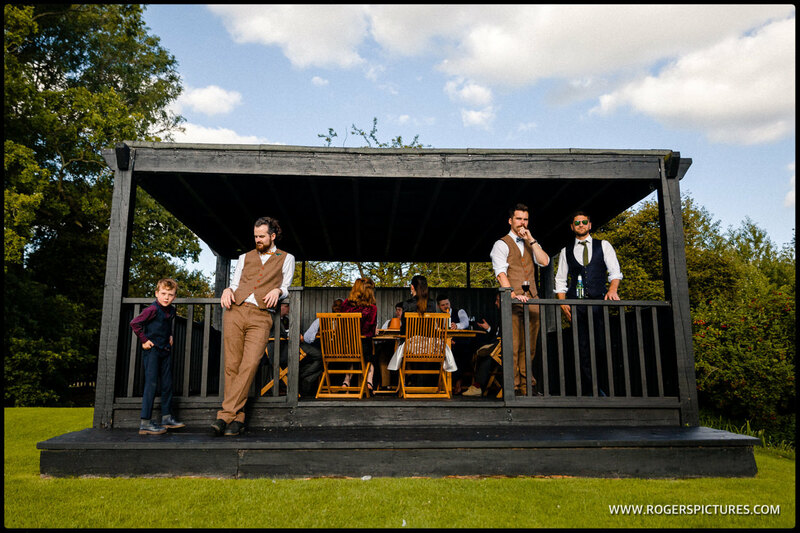 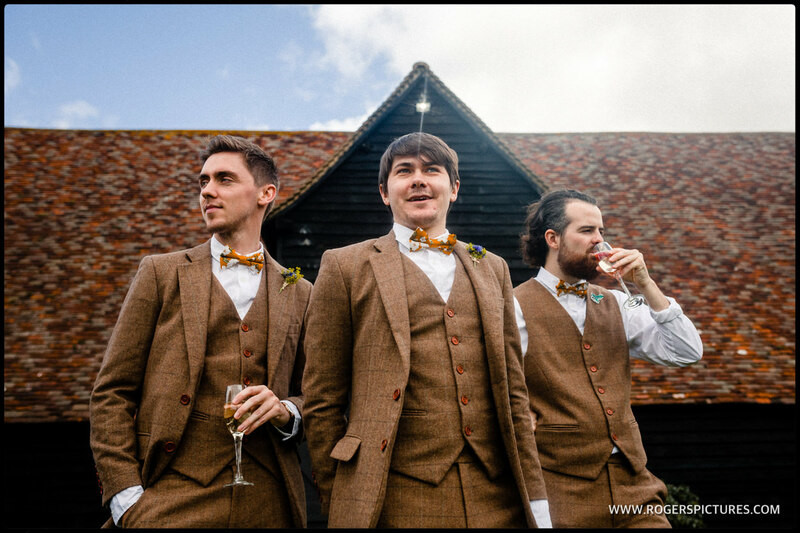 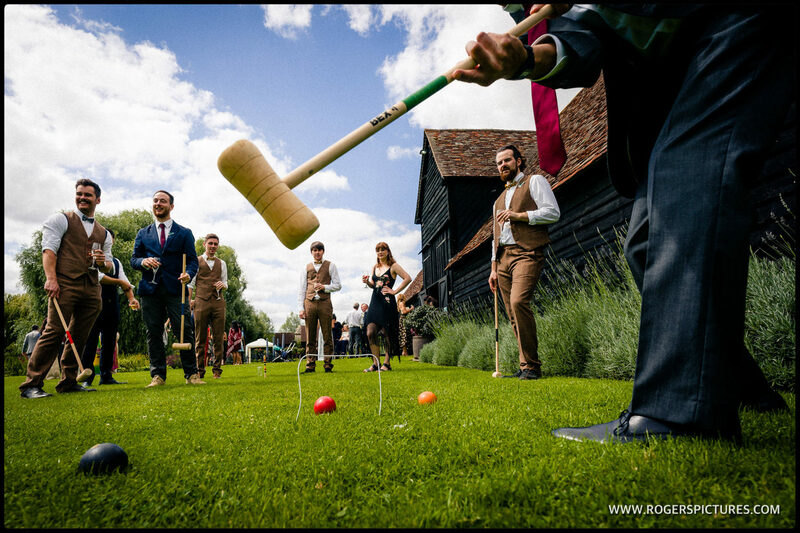 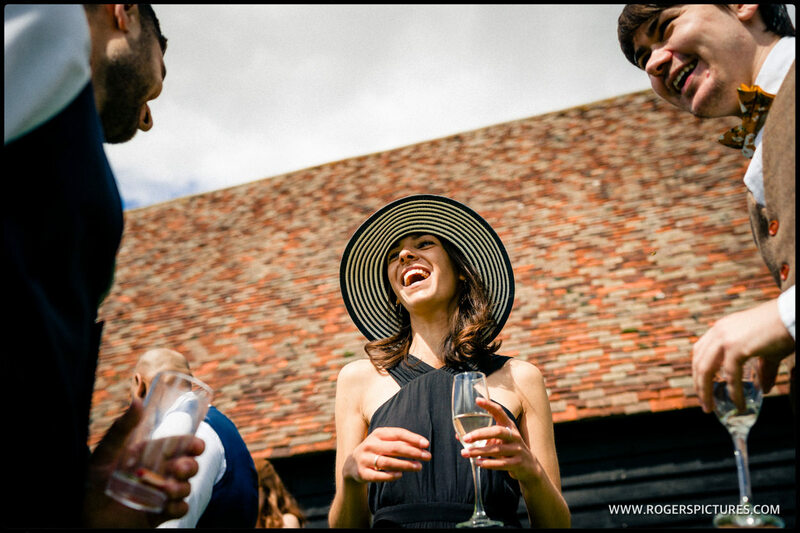 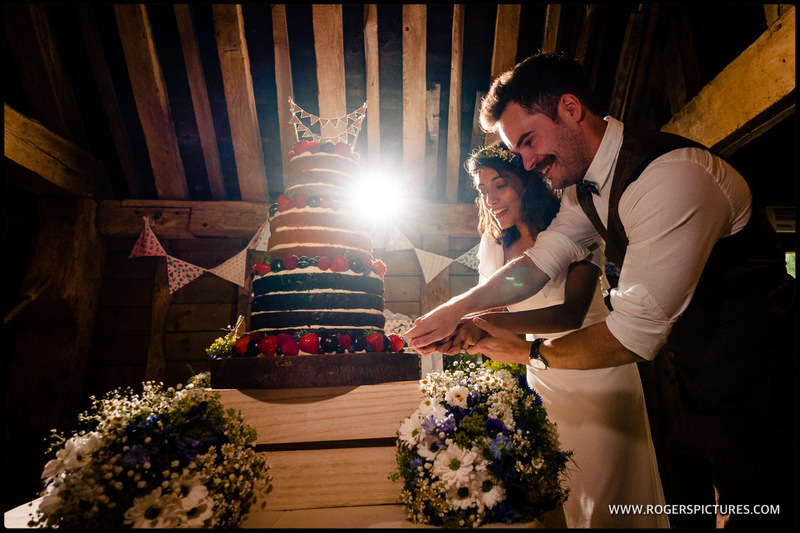 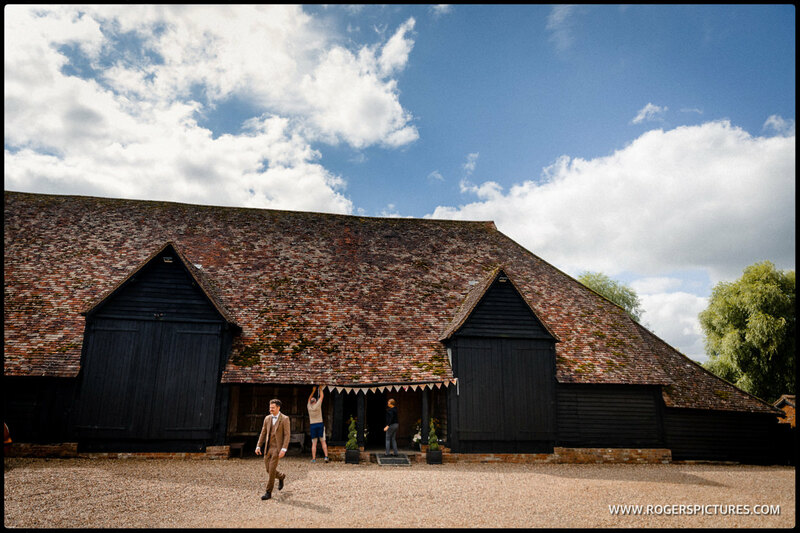 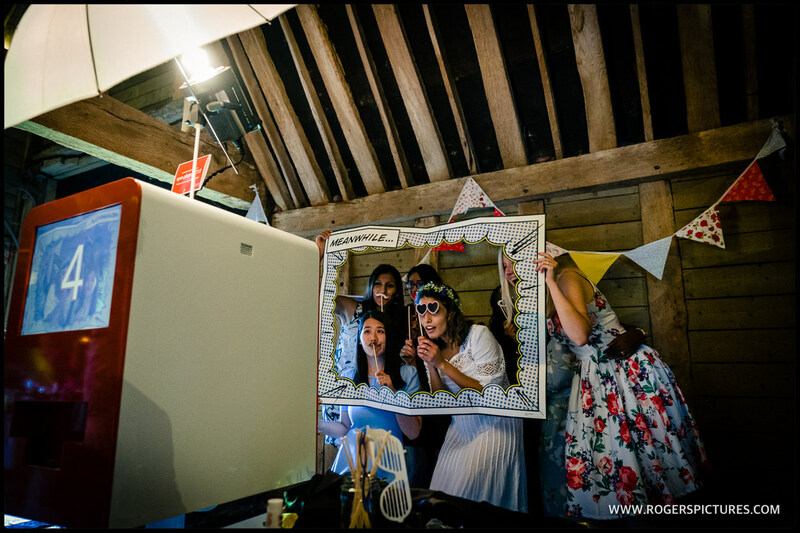 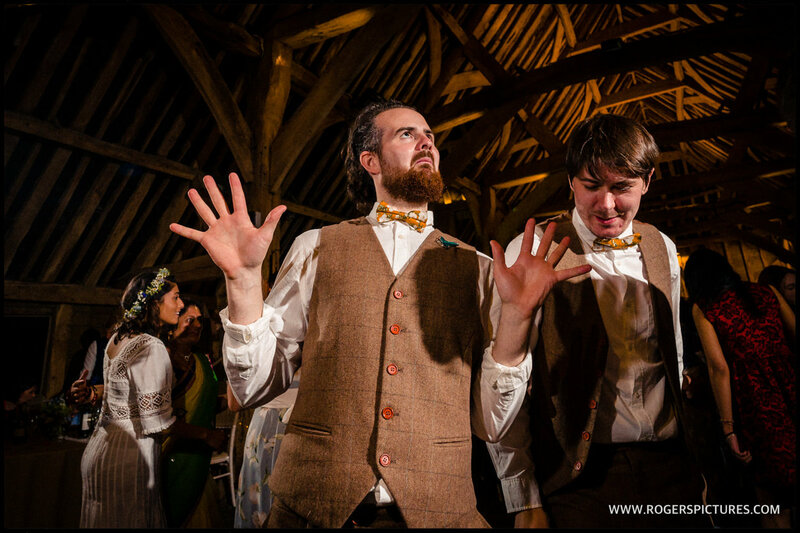 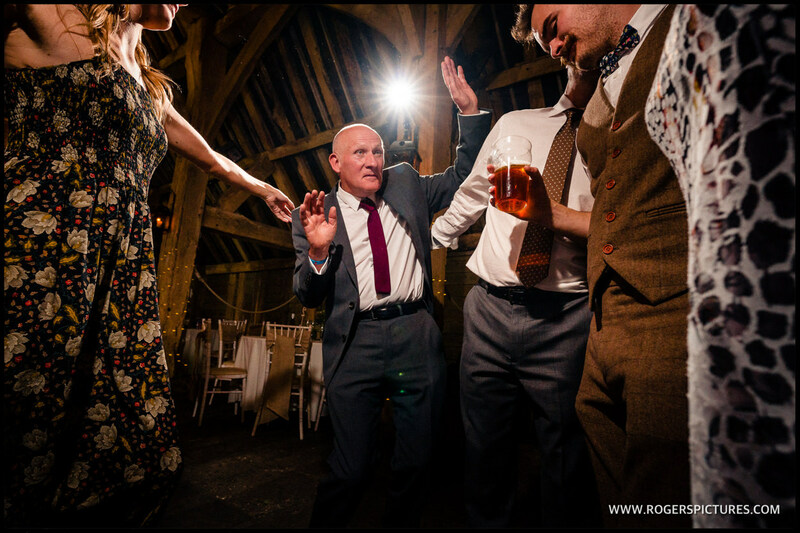 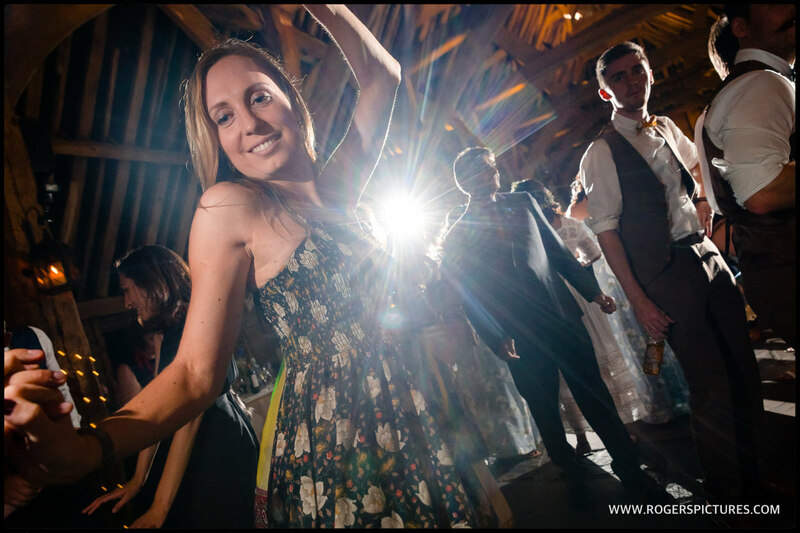 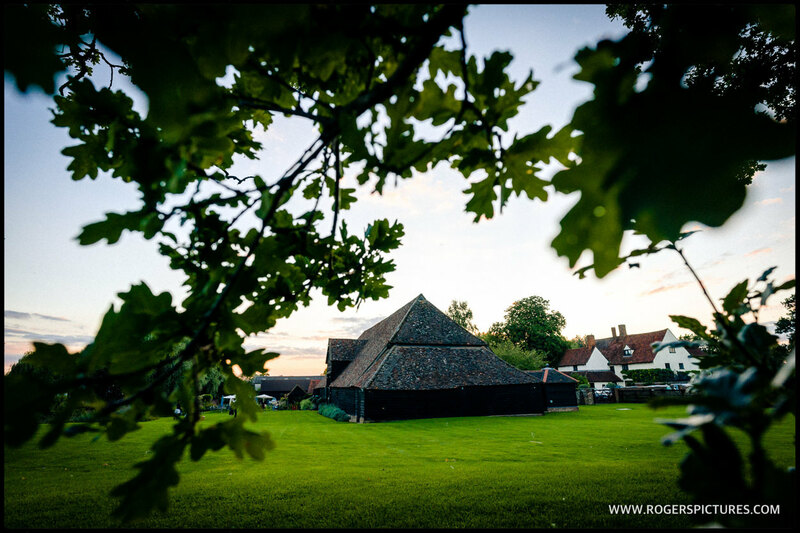 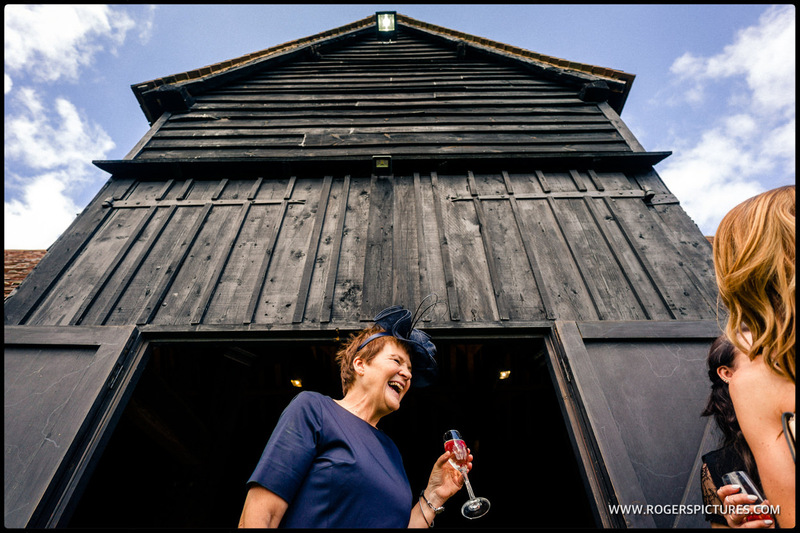 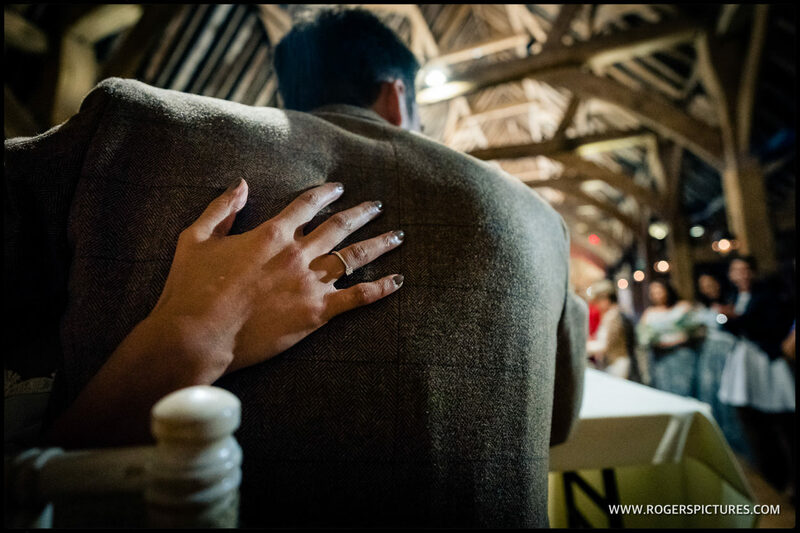 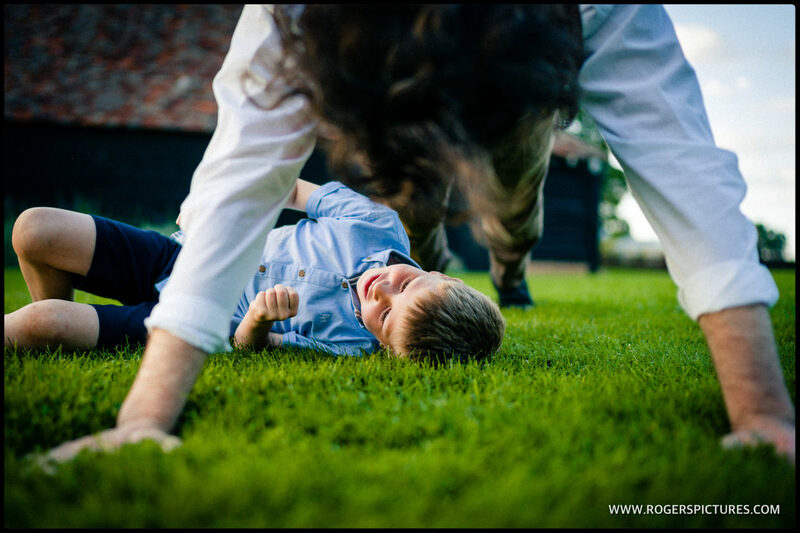 Or check out this unusual wedding venue in Hertfordshire, or perhaps some Notley Abbey wedding photography?